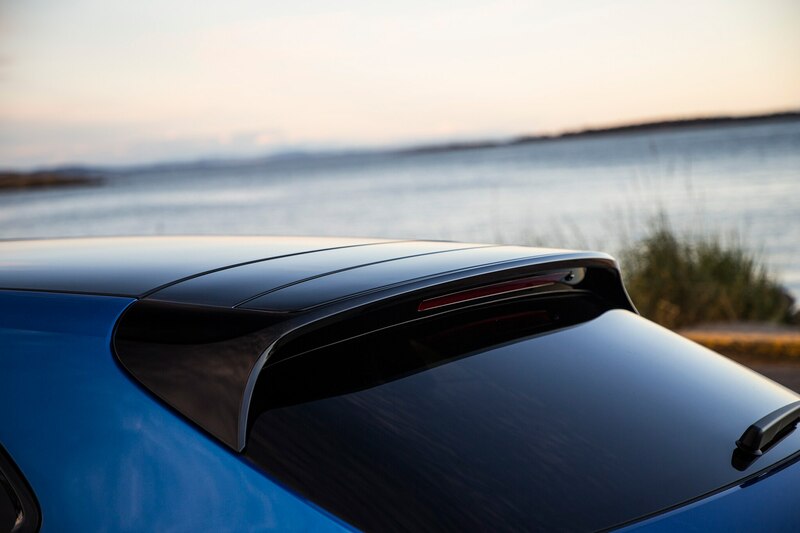 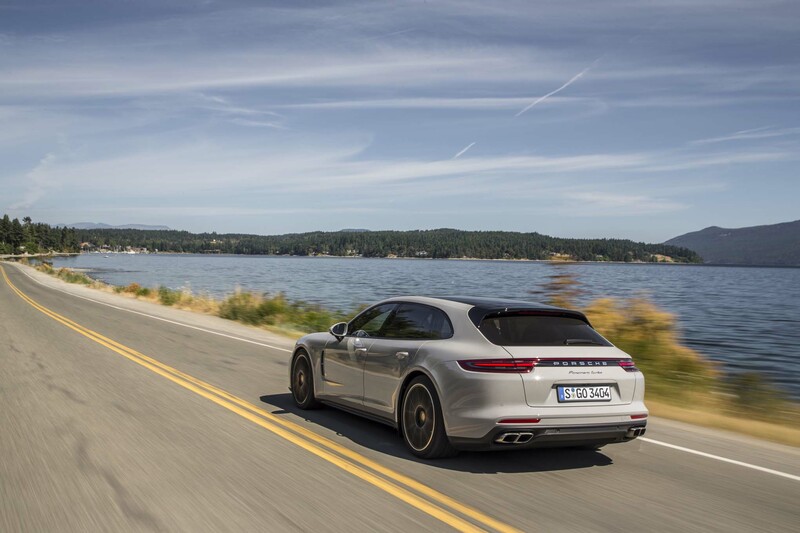 Taking turns in a 177-mph grocery-getter. 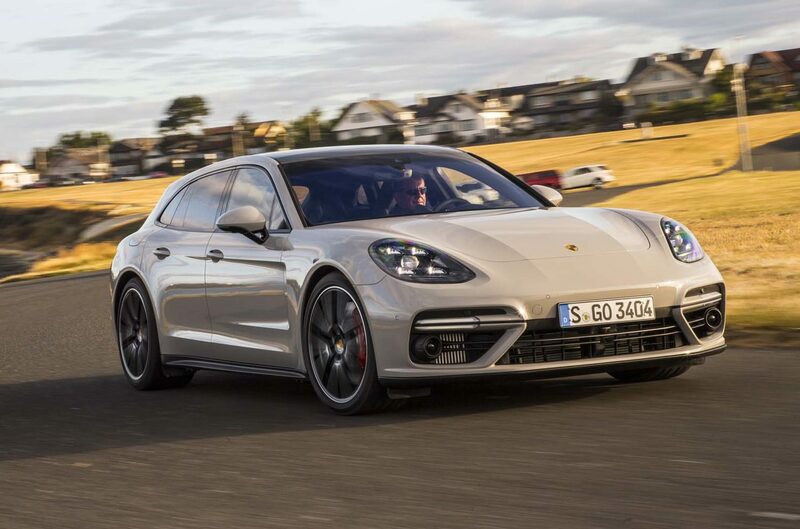 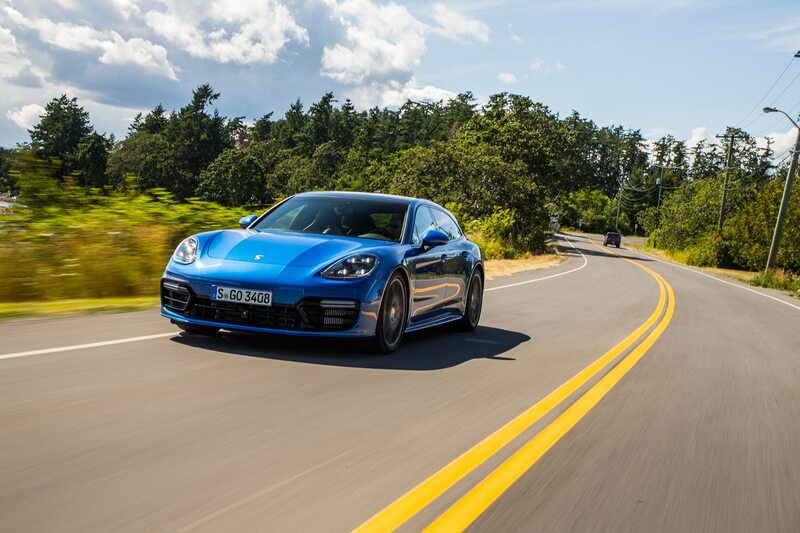 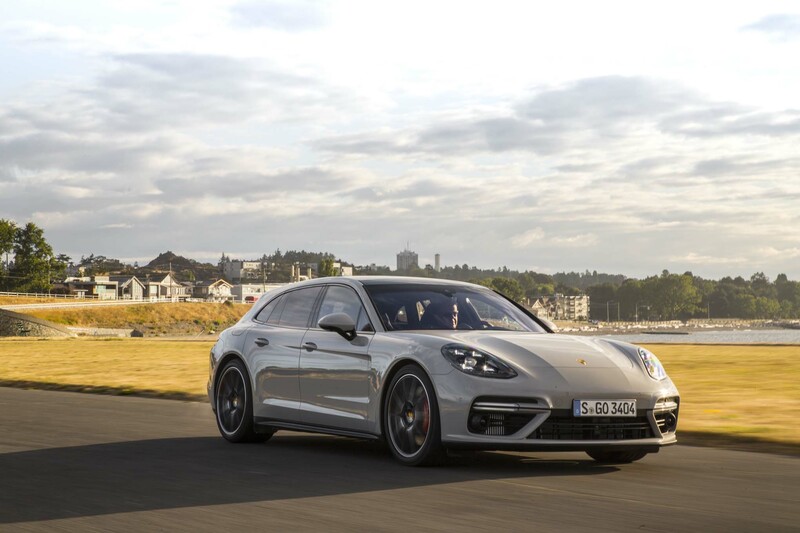 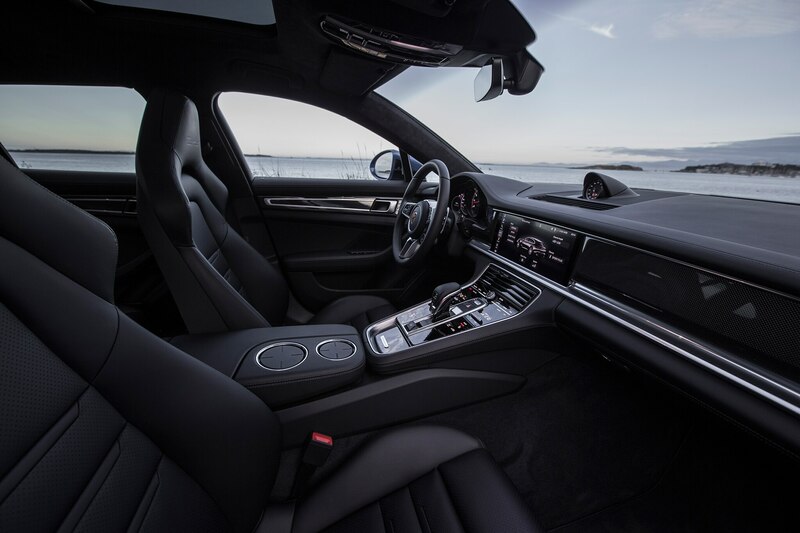 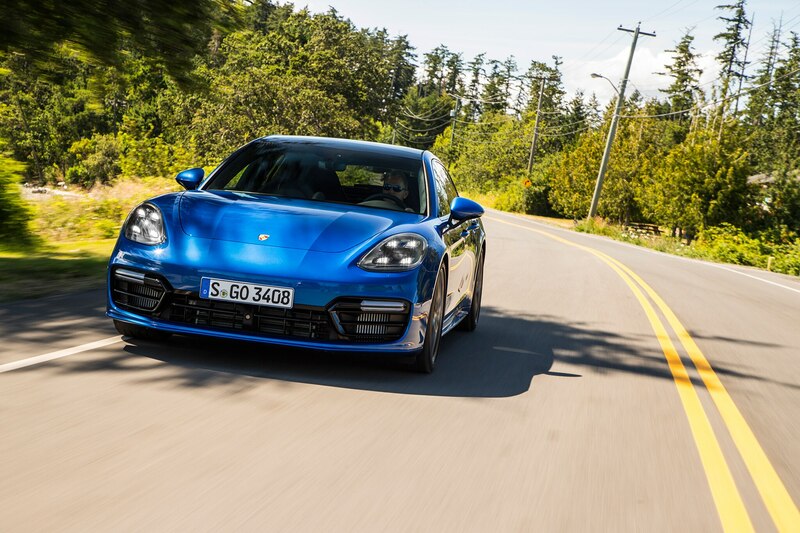 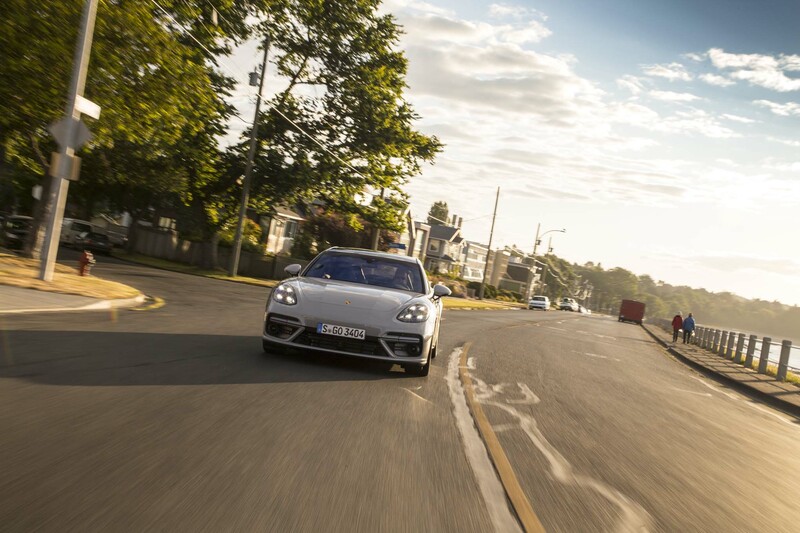 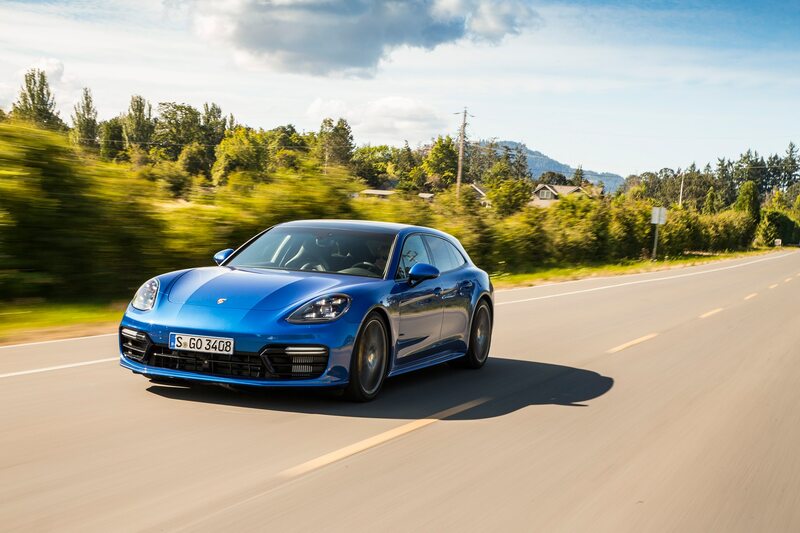 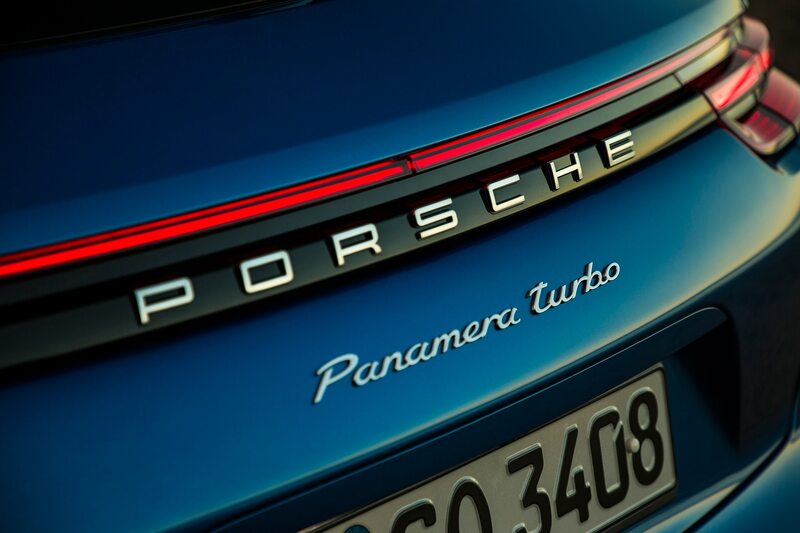 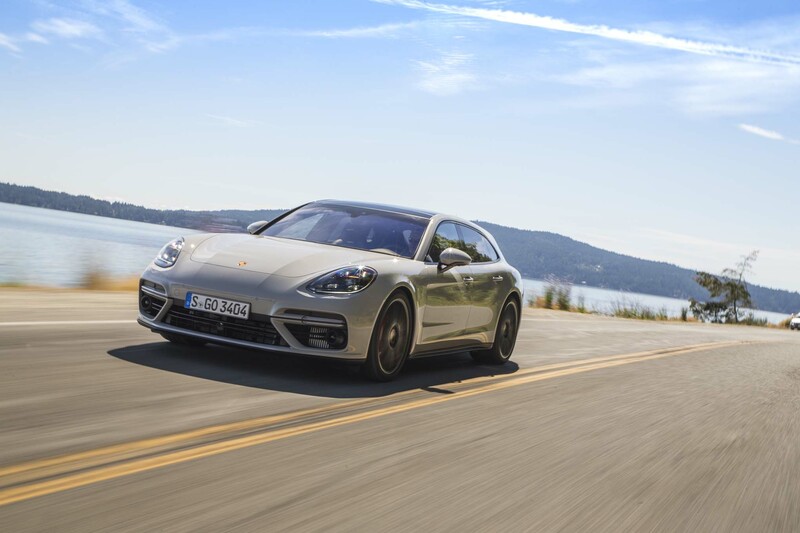 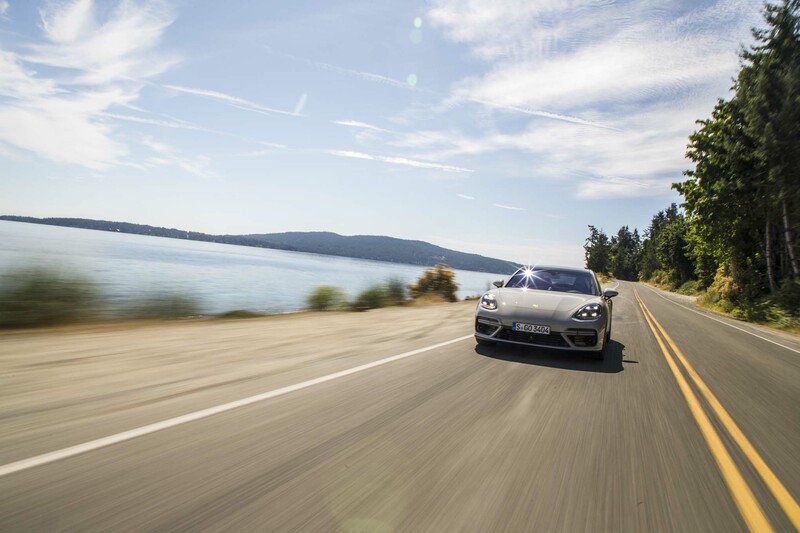 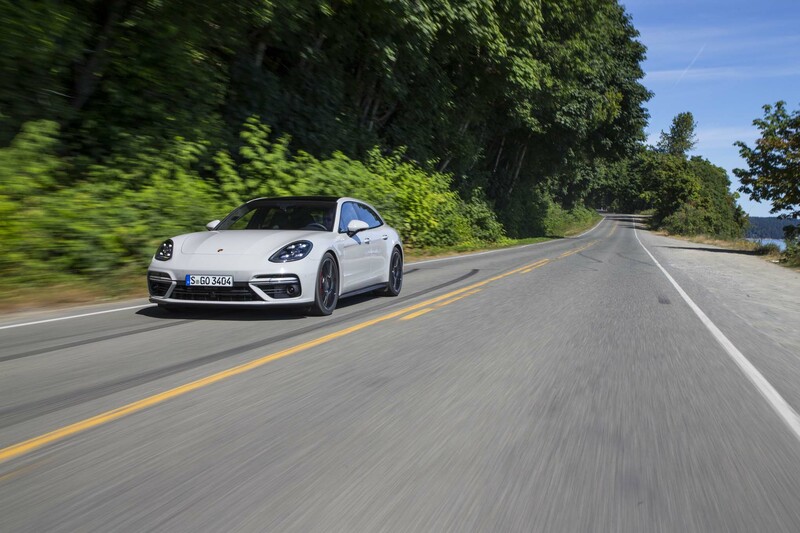 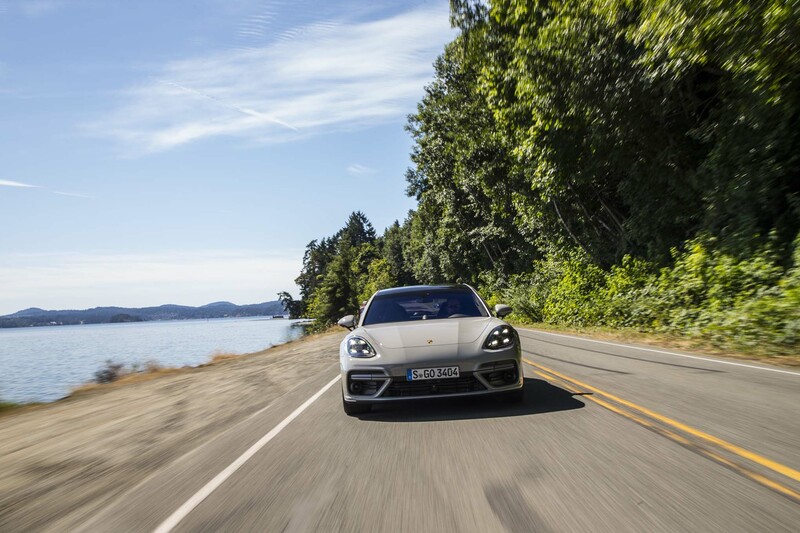 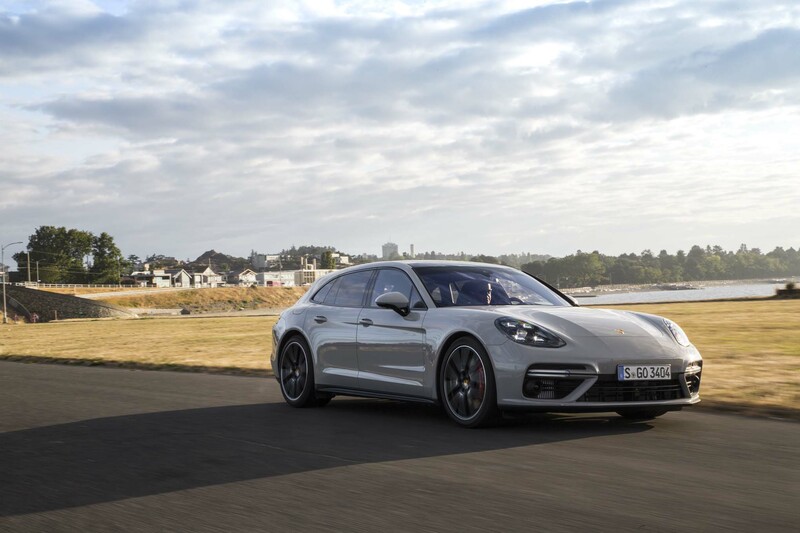 It was way back in fall 2016 when I last spent some quality time in Porsche’s four-door Panamera—that drive taking place in Germany at the launch of the all-new, second-generation 2017 model. 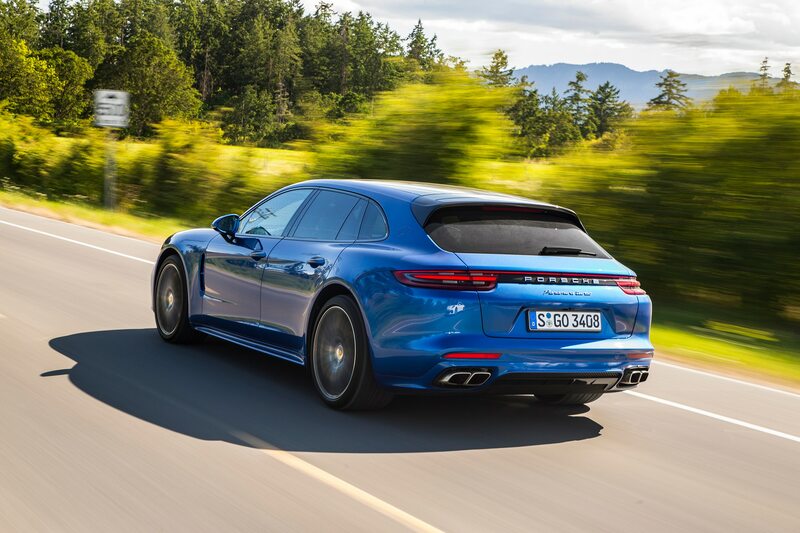 After my tour around Munich, I said of the car: “From exterior styling to cabin design to engine and chassis performance, the new one gets it all right. 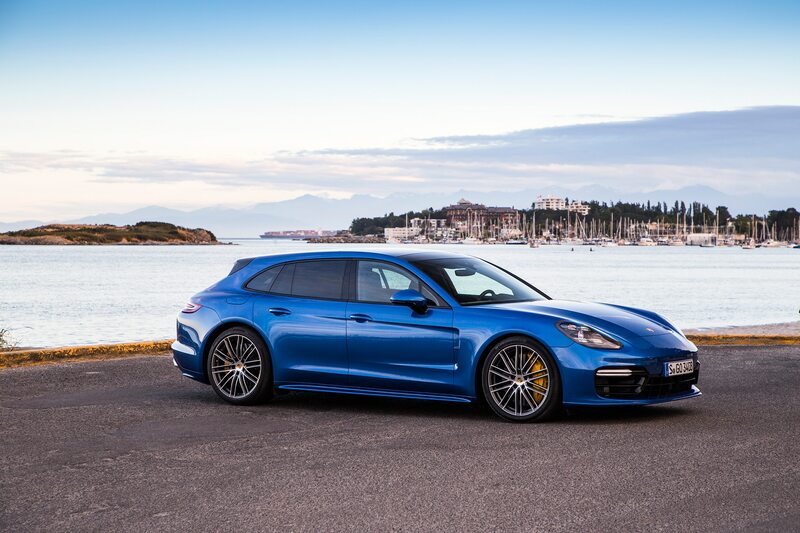 There’s nothing else quite like it.” Nothing else, that is to say, except for a flavor array of different Panamera powertrains and body styles vast enough to rival Baskin-Robbins. 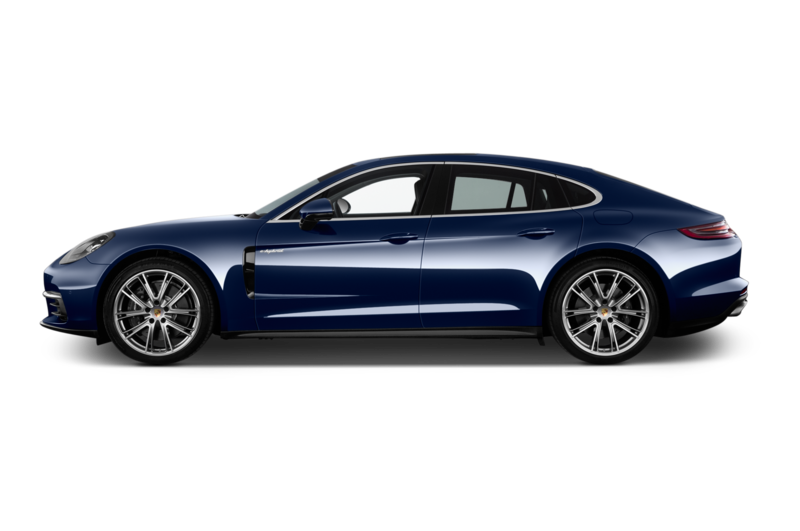 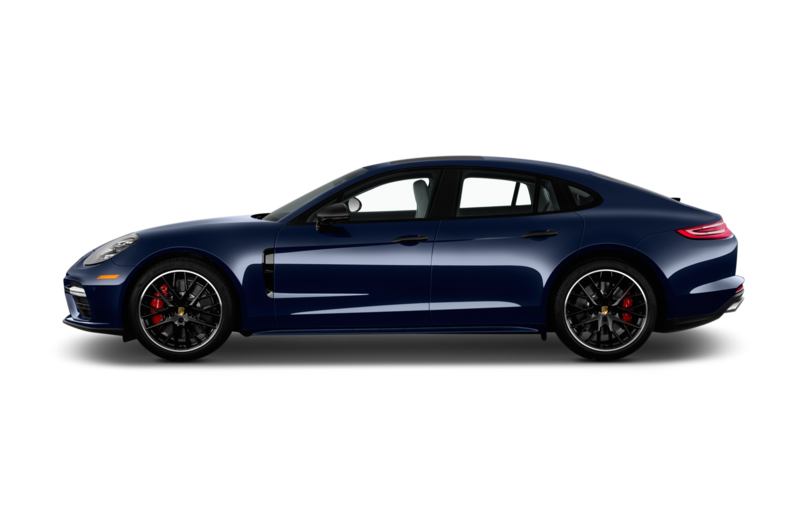 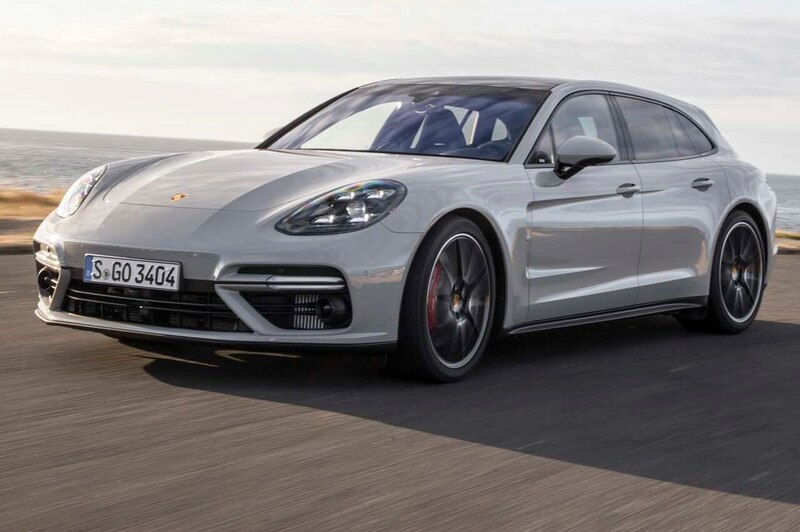 How about a Panamera 4S in Sport Turismo form? 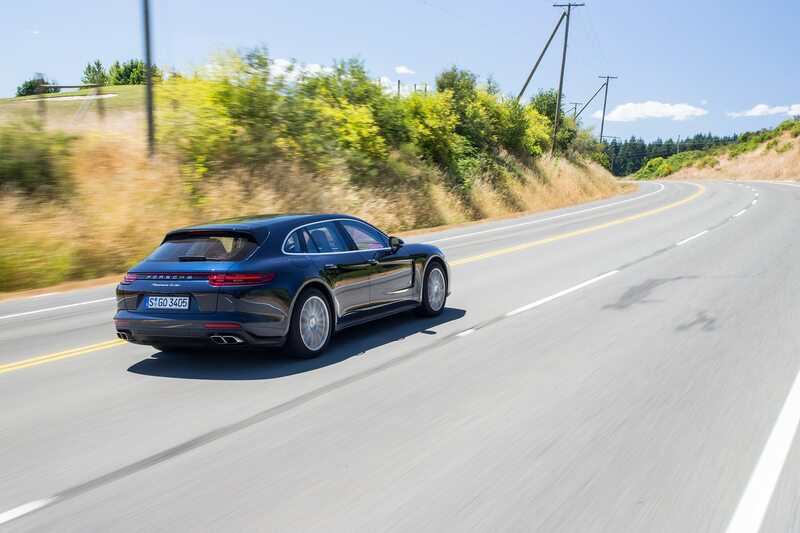 I’d never driven the wagonlike Turismo version, so when one became available, I jumped in for a Panamera refresh. 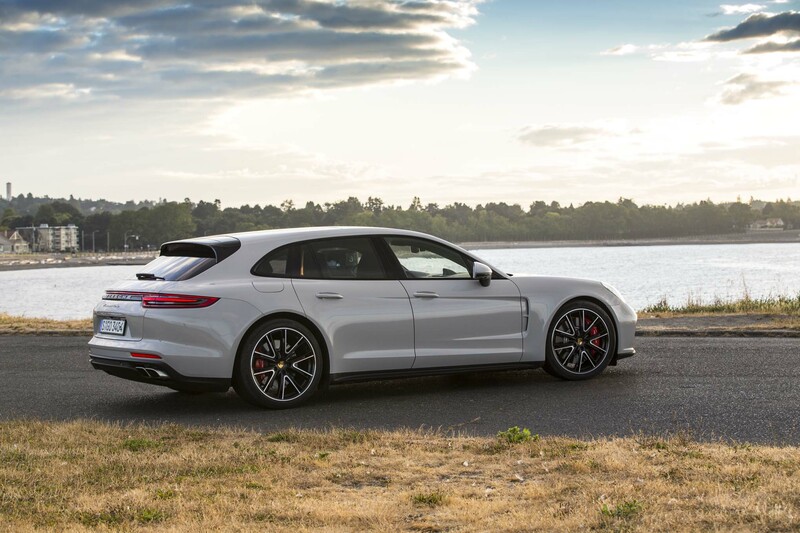 With the 4S edition comes a twin-turbo, 2.9-liter V-6 making 440 horsepower and 405 lb-ft of torque, the latter figure at just 1,750 rpm. 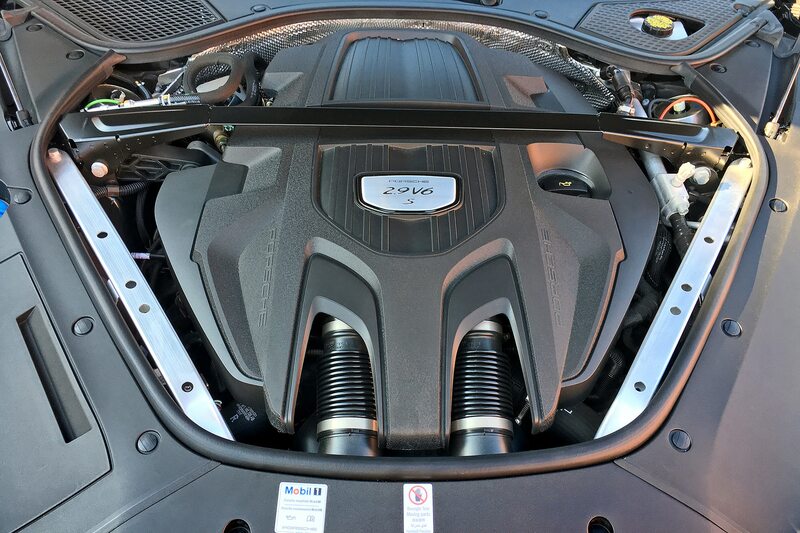 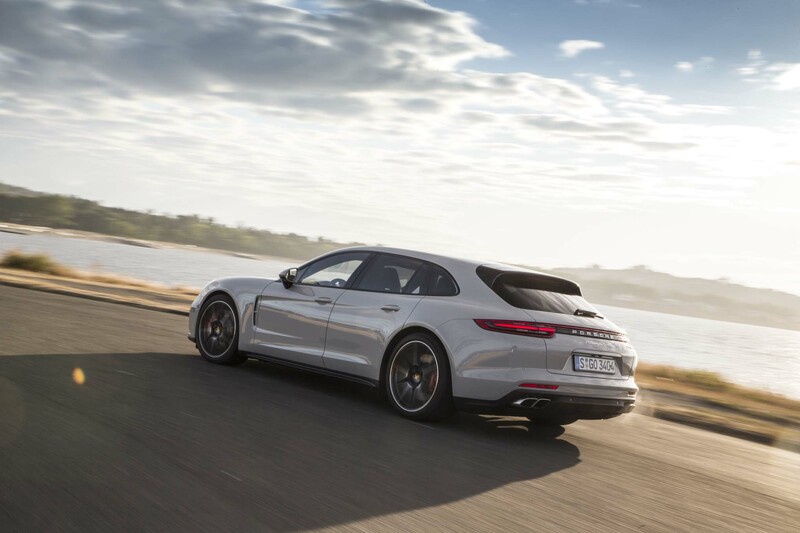 While hardly the top engine in the line (the Panamera Turbo’s force-fed V-8 is good for 550 horses), the little blown six is still plenty potent, capable of flinging the roughly 4,200-pound, all-wheel-drive Sport Turismo to 60 mph in just 4.2 seconds. 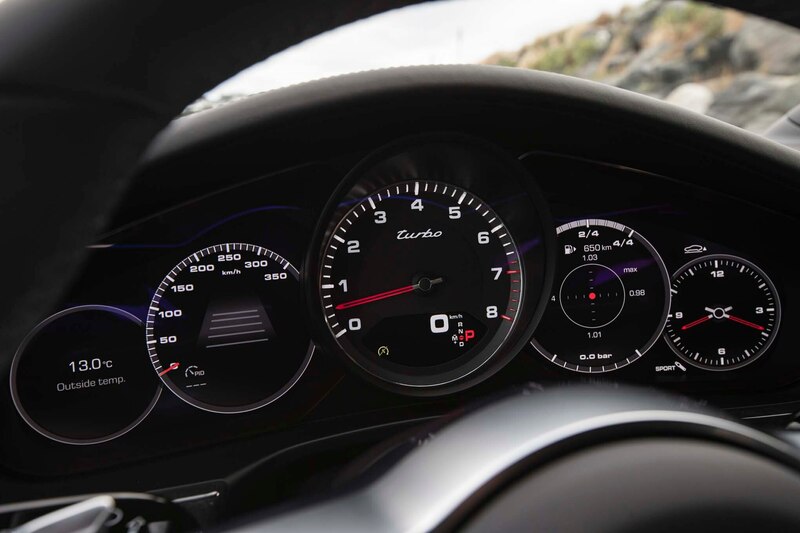 If that’s not quick enough, Porsche says using the launch control feature in the $2,270 Sport Chrono package cuts an additional 0.2 second off that figure. 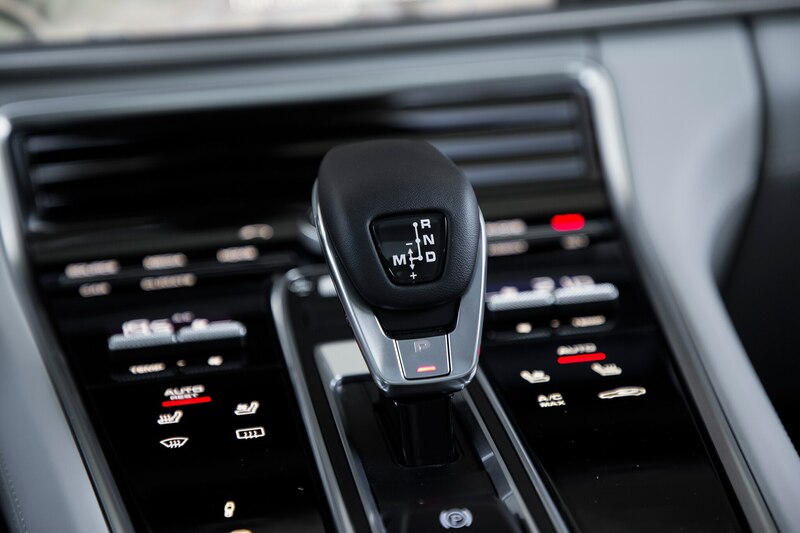 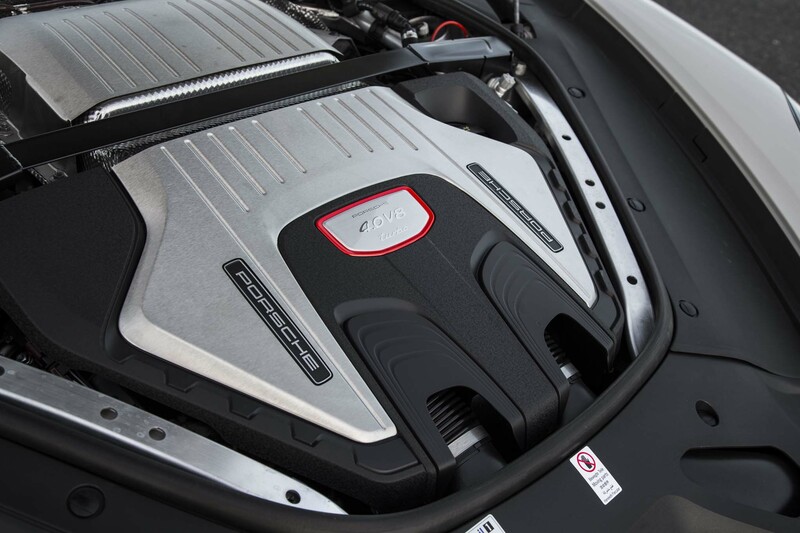 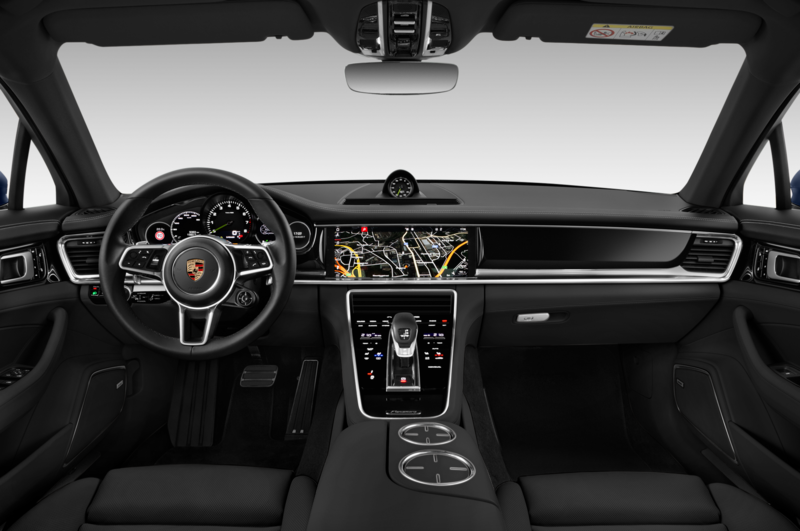 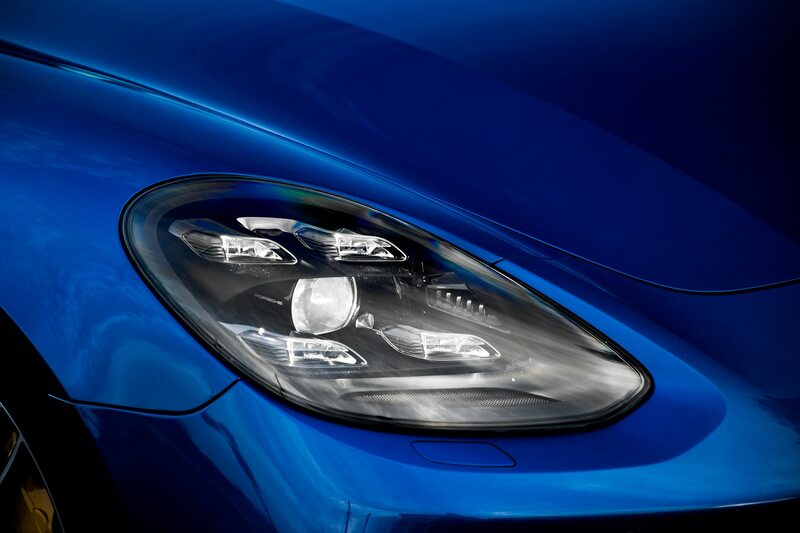 The transmission is an eight-speed dual-clutch PDK automatic with shift paddles behind the wheel. 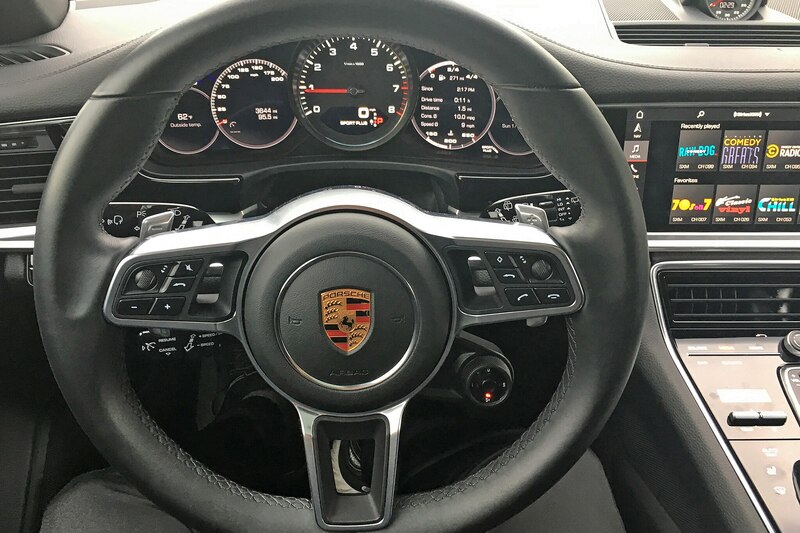 As I’ve discovered using PDKs in other Porsches (such as the fabulous 911 GT2 RS), the programming is so brilliantly executed, so attuned to the road and your driving mood, using the paddles is all but unnecessary. 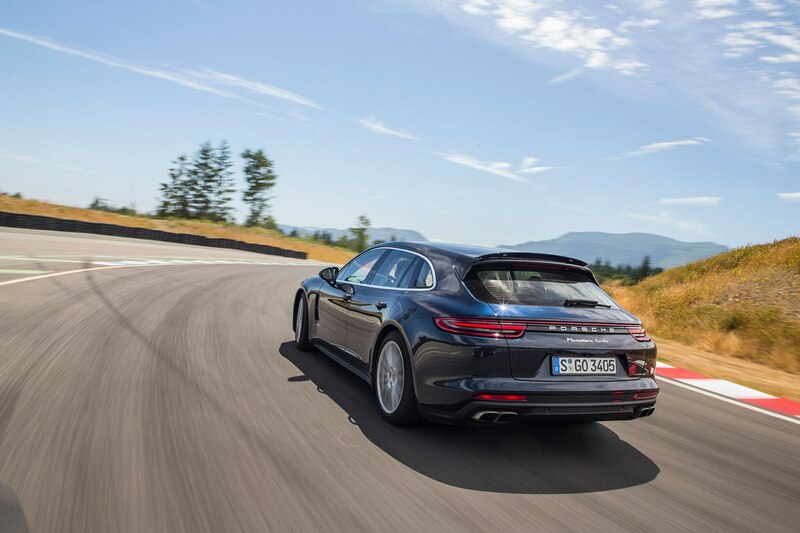 Leave it in drive and the PDK rarely—if ever—makes a wrong move, always cracking off downshifts just when you need them while braking into a turn, holding a given cog when powering through a long bend, and upshifting high on the tach if you’re really giving the engine the spurs. 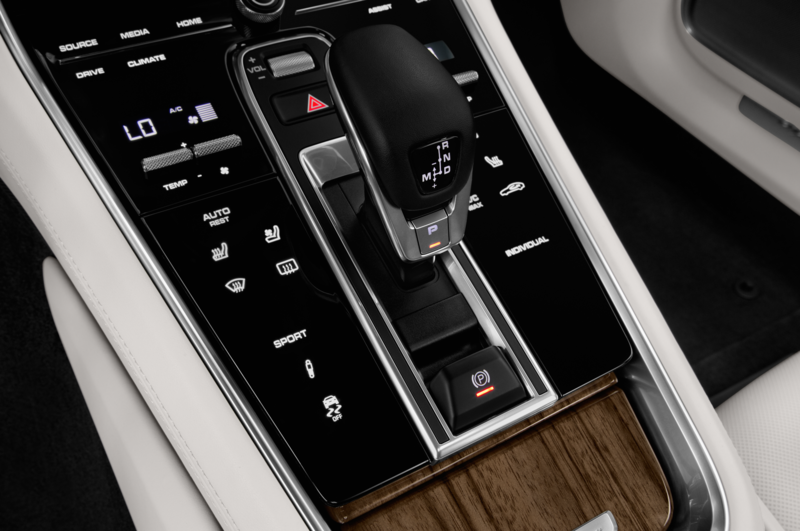 Switch into Sport Plus mode to firm up the chassis and make the gearbox really come alive, as it downshifts even more aggressively and upshifts only when it feels you lifting off or easing up. 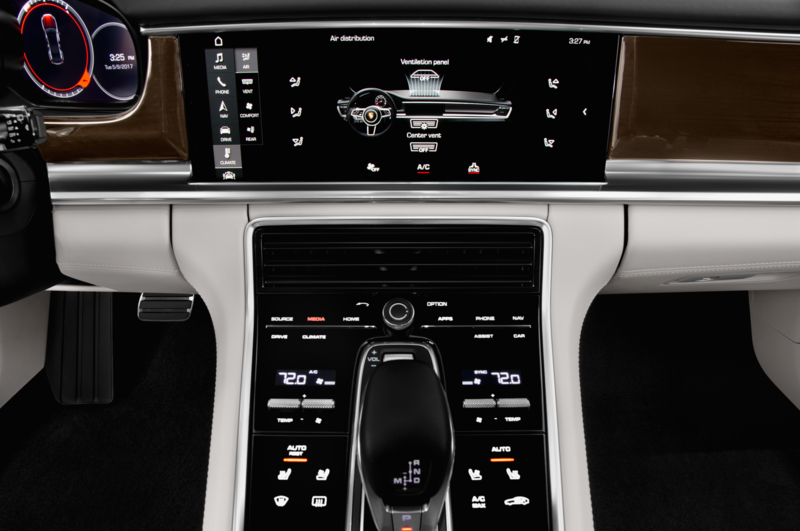 I found Sport Plus a bit much in city driving, as the transmission would keep the engine howling along at higher revs when an upshift would’ve been completely appropriate, but, hey, the computer was only doing its job. 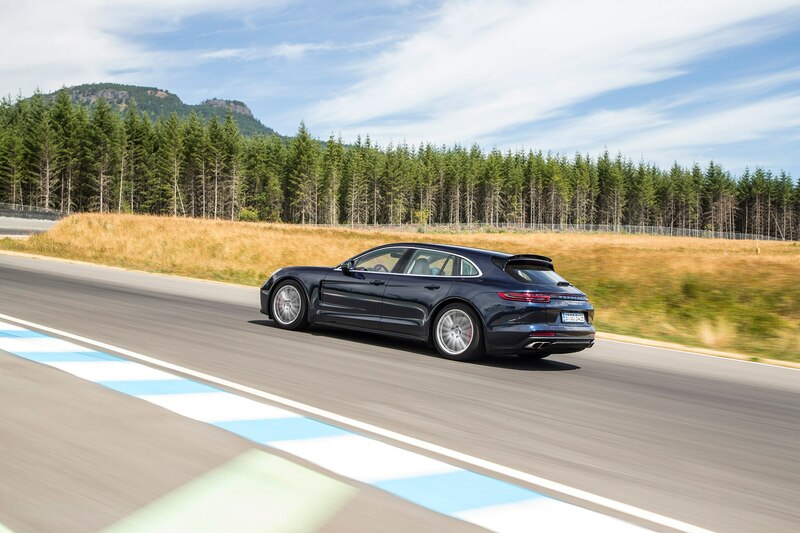 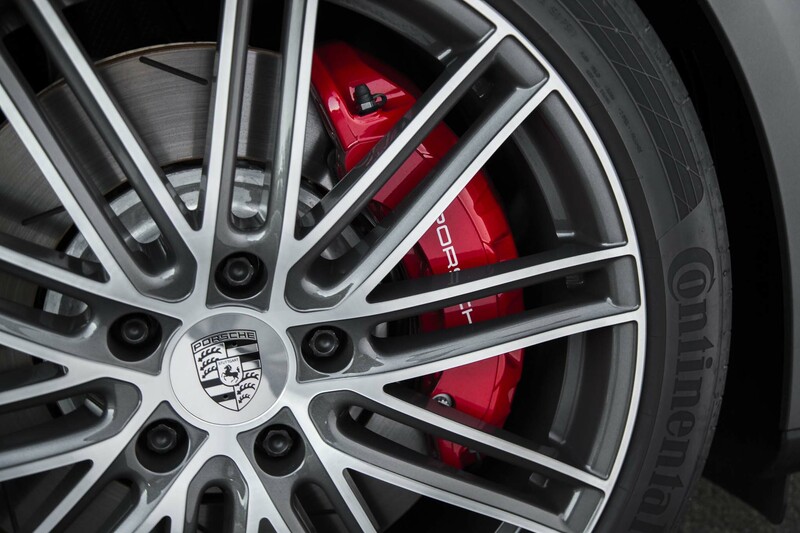 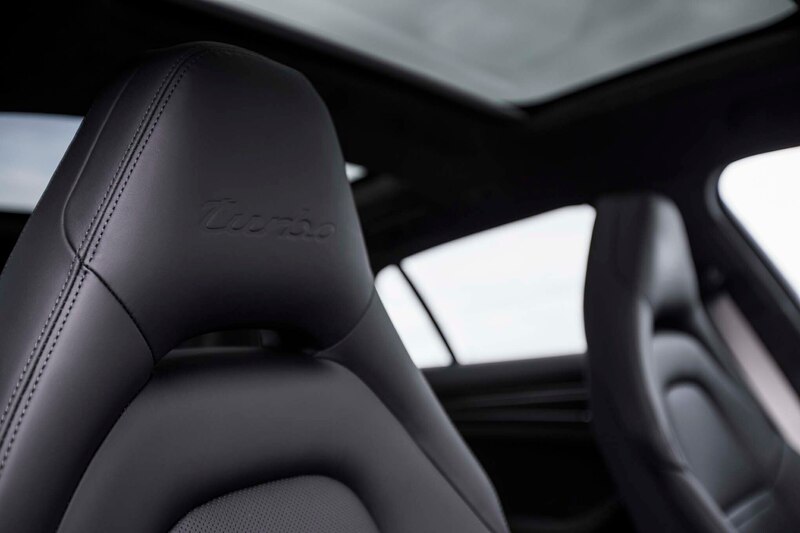 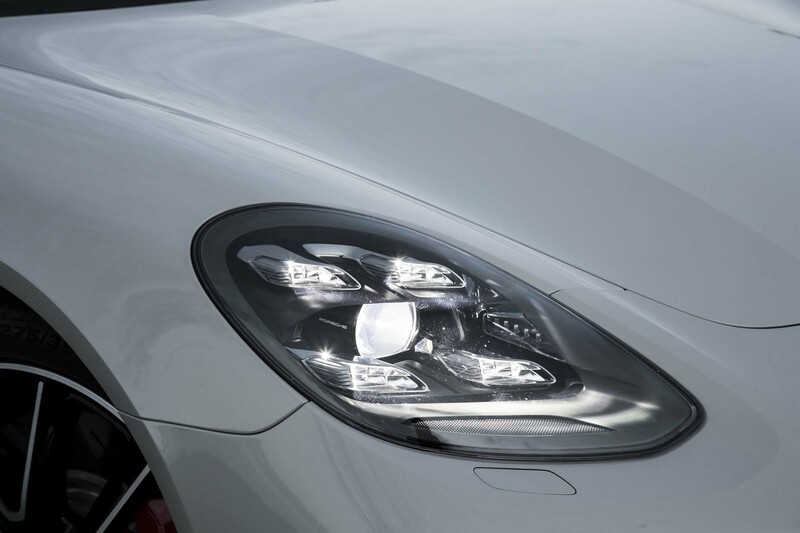 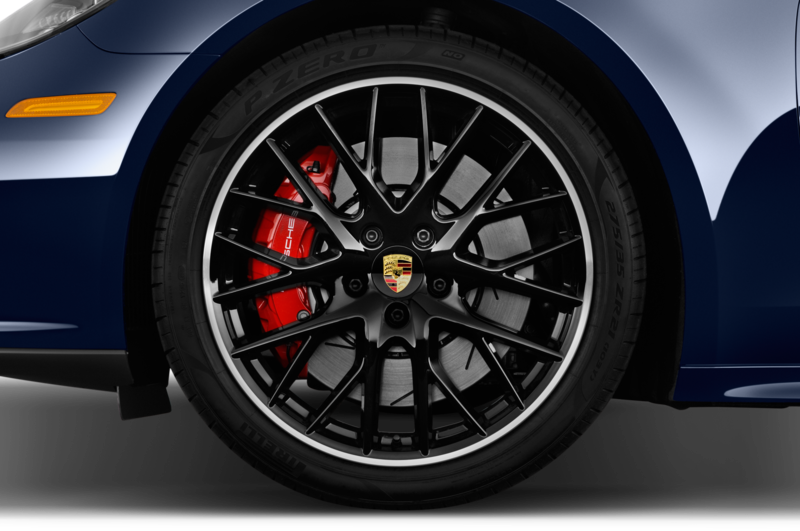 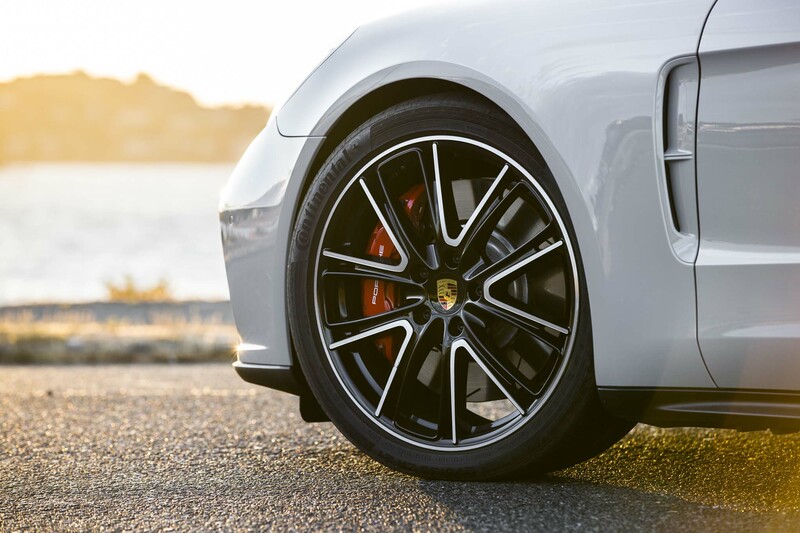 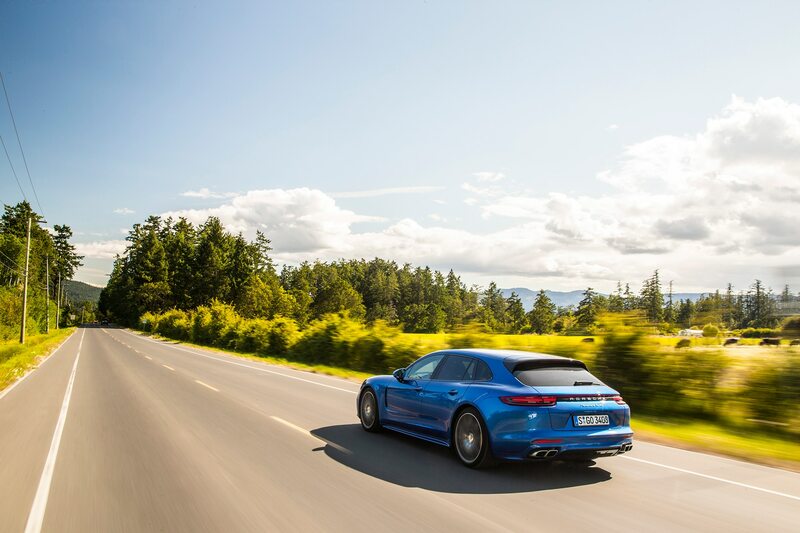 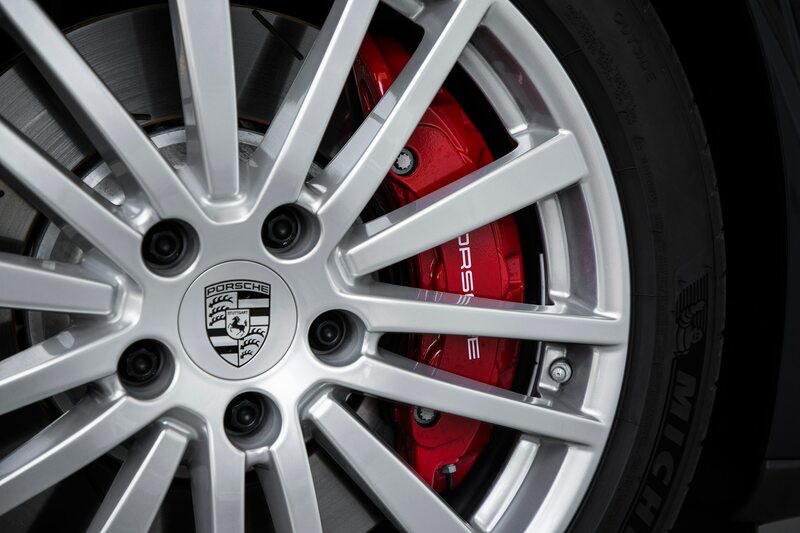 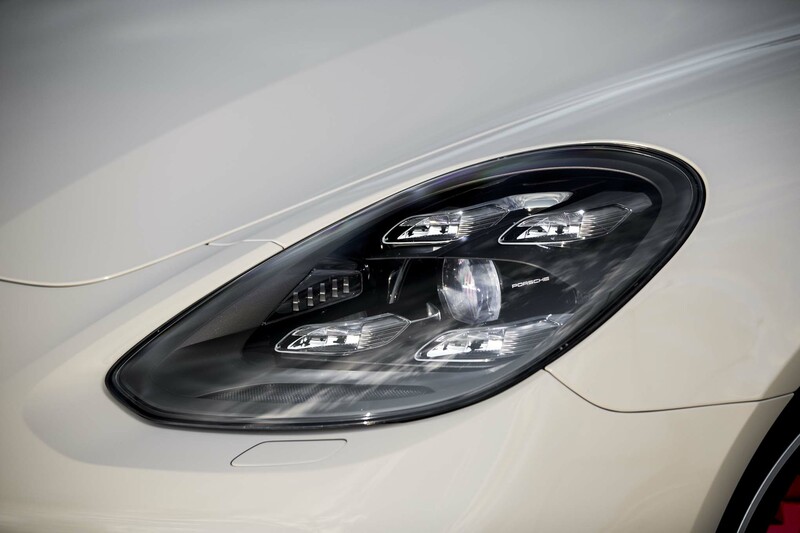 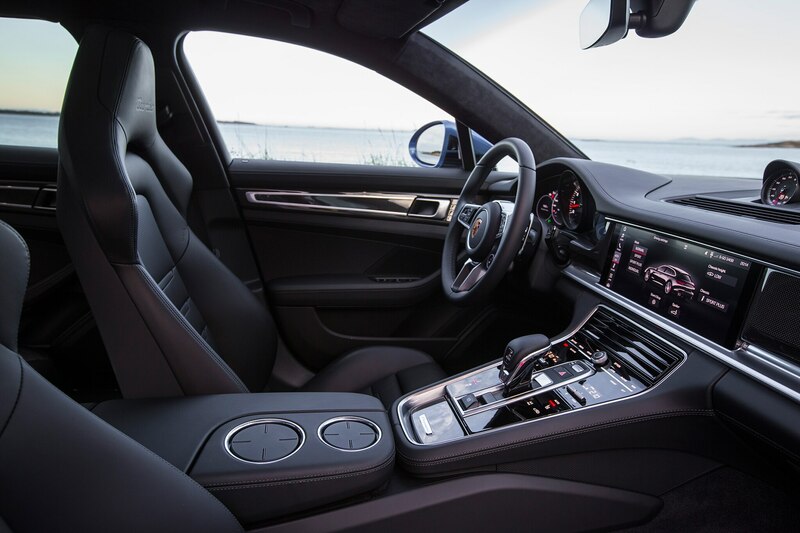 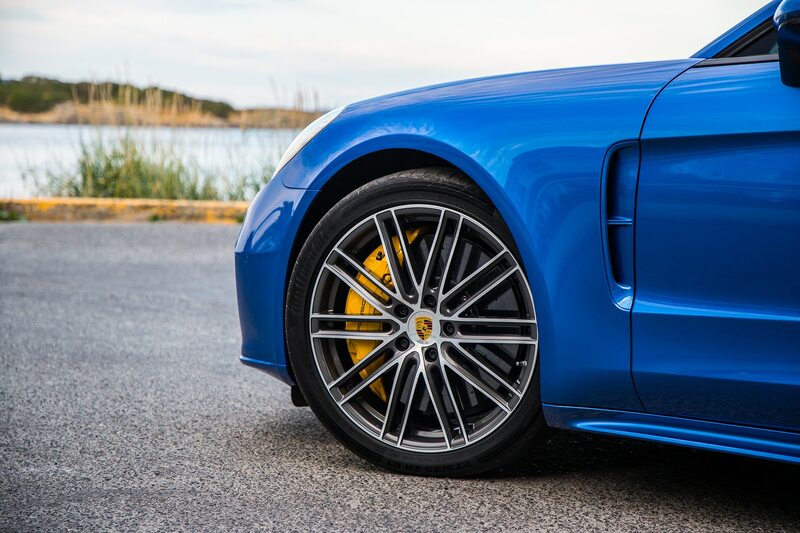 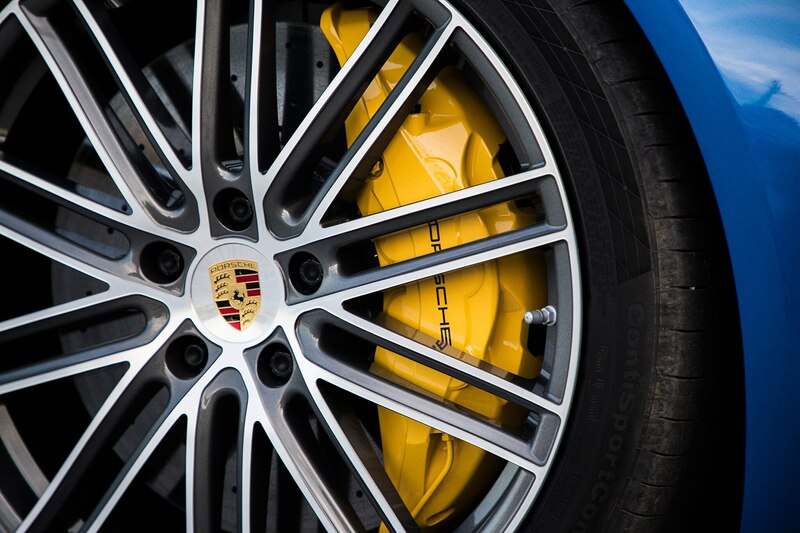 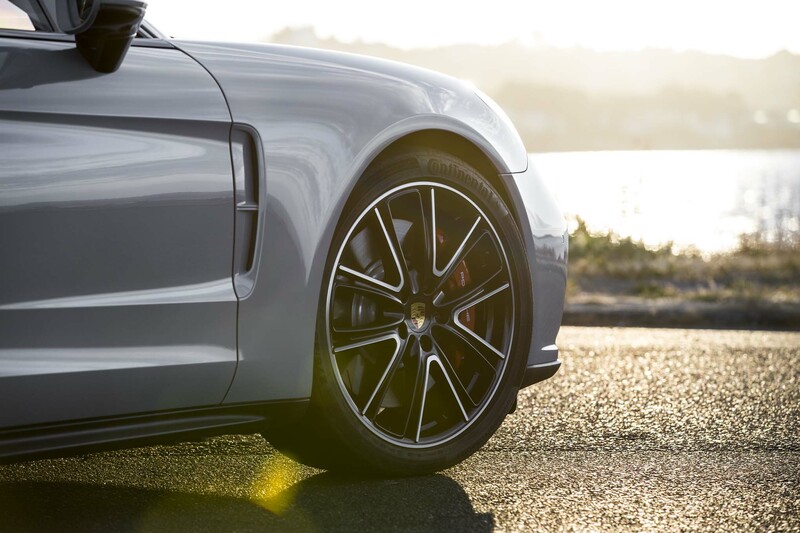 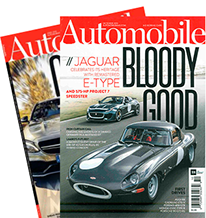 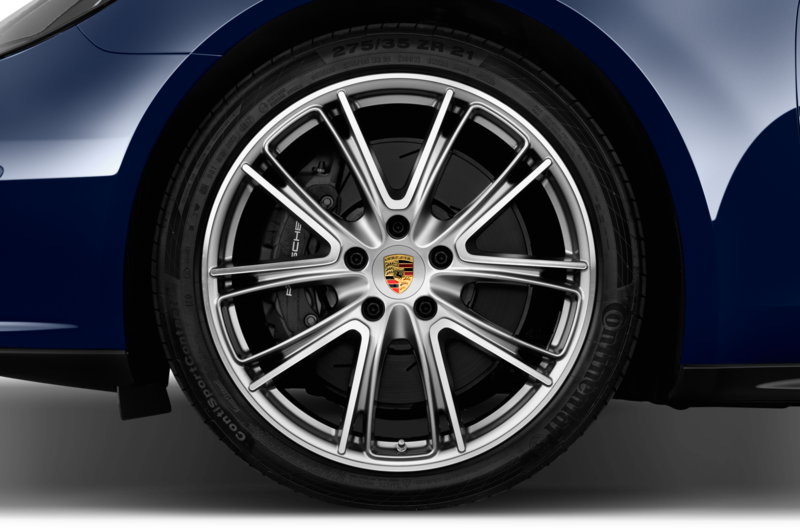 Or if you’re in the mood simply to loaf along—as much as is possible in a Porsche, anyway—switching to Normal mode softens the Porsche Active Suspension Management (PASM) adaptive dampers while keeping powertrain busyness to a minimum. 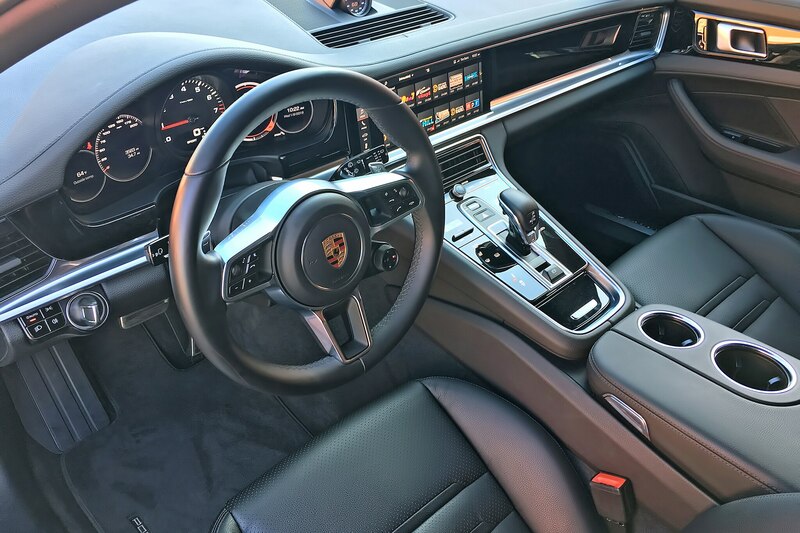 An in-between Sport mode offers a balance of comfort and performance and is the setting I used most; it also disables the engine stop-start system that rears its head in Normal. 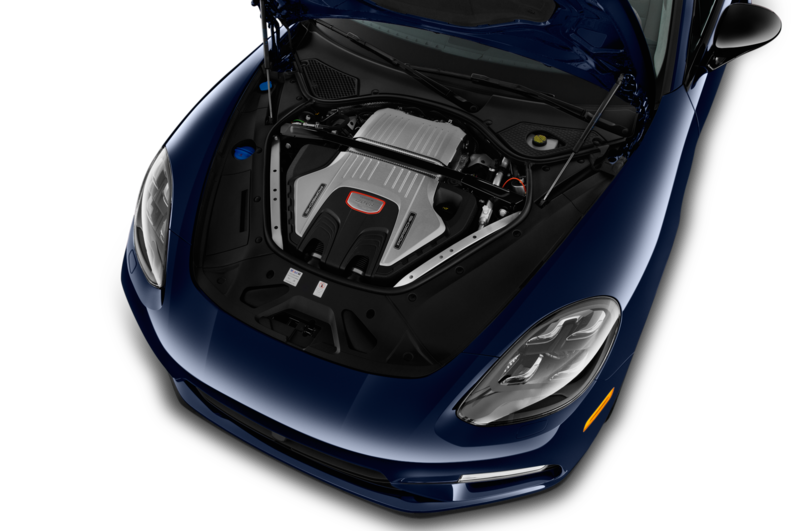 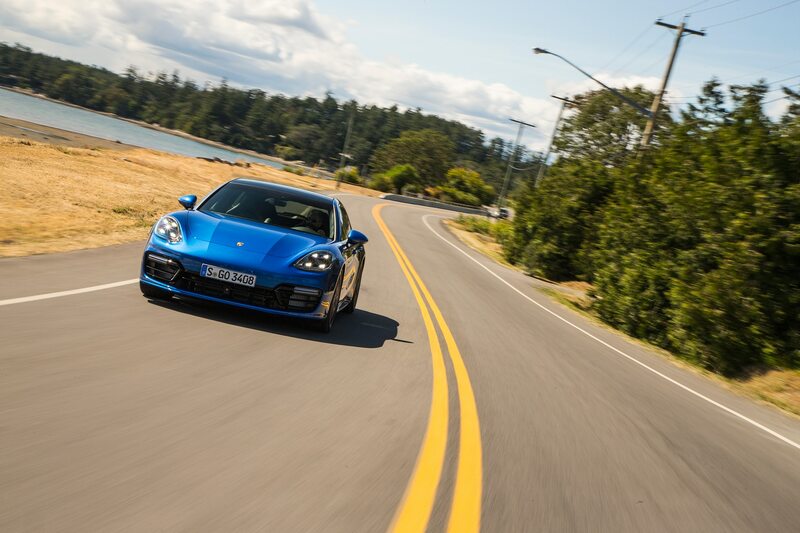 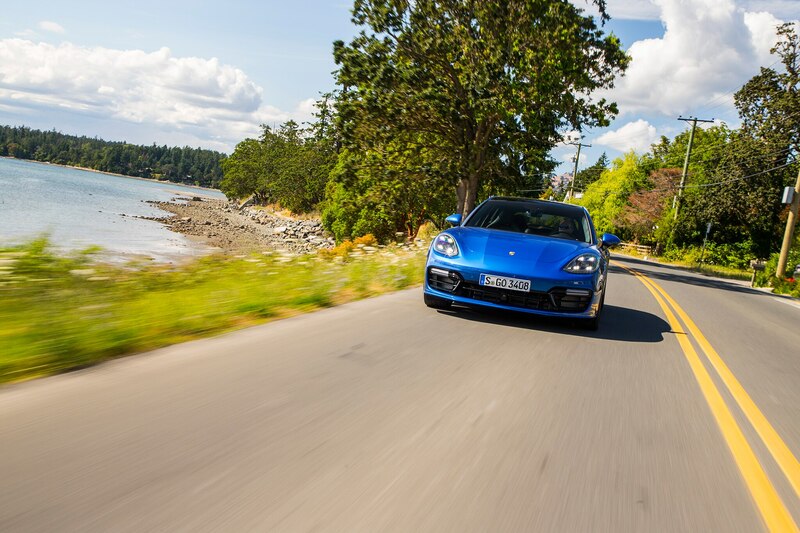 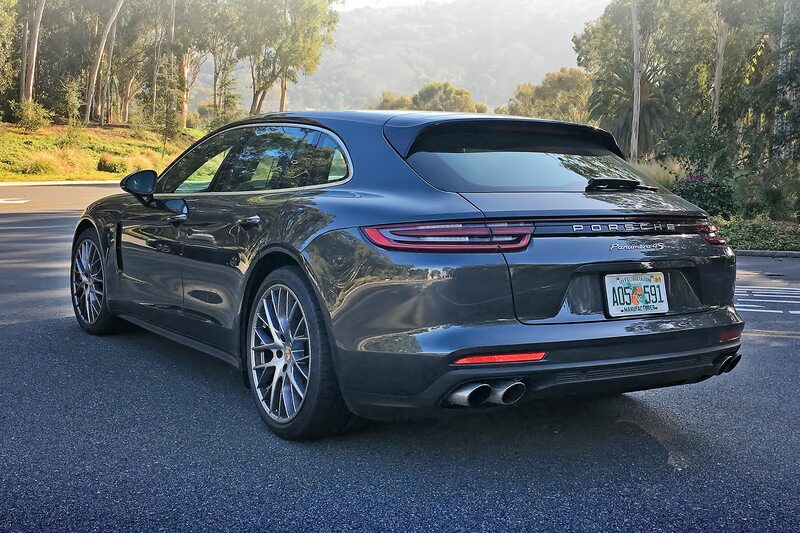 My test car included two expensive but cool chassis upgrades, the rear-axle steering ($1,620) and Porsche Dynamic Chassis Control Sport (PDCC Sport), a $5,000 add-on that includes torque vectoring. 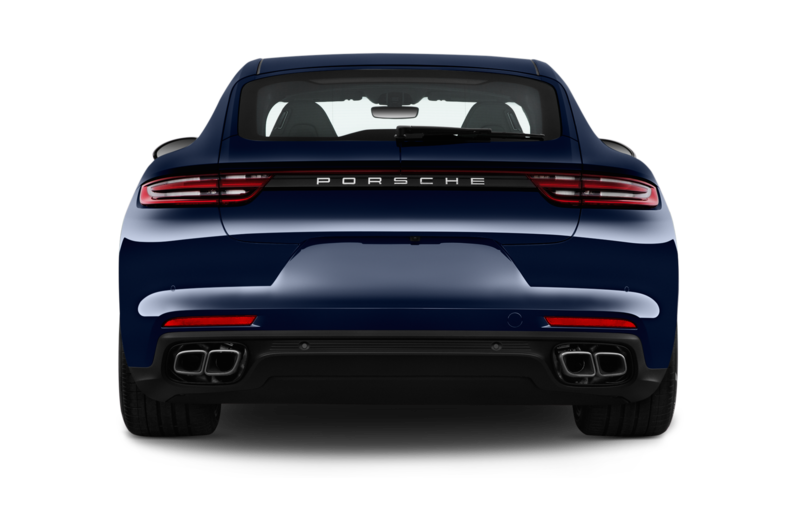 I could feel the rear steering in action; at low speeds, the back wheels steer opposite the fronts, greatly improving maneuverability during parking maneuvers. 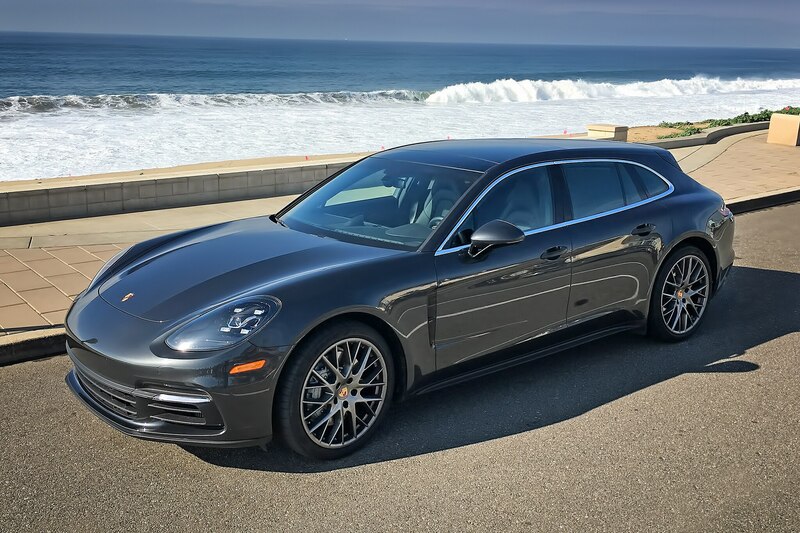 Alas, a rare week of Los Angeles rain spoiled my quest to test the torque-vectoring system through my usual Malibu mountain passes. 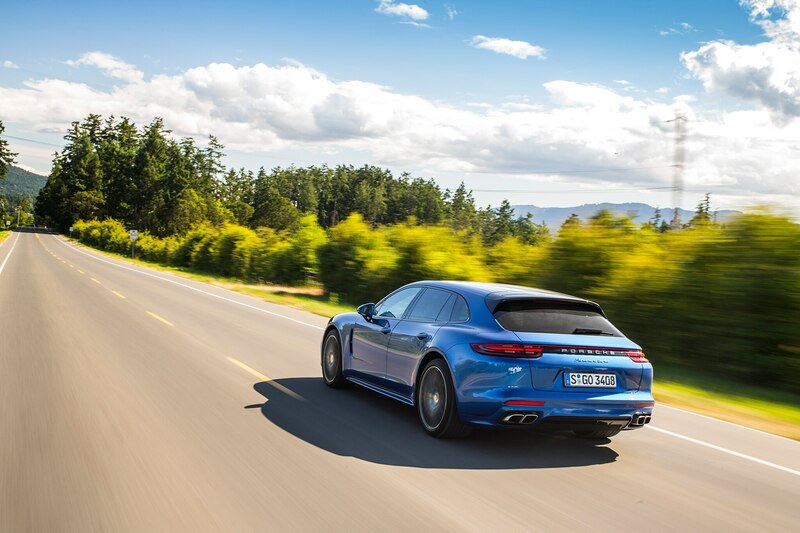 I managed a few brief dry-road blasts through some local twisty stretches and can vouch that the Sport Turismo turns-in like a true Porsche, but pushing it really hard simply wasn’t doable. 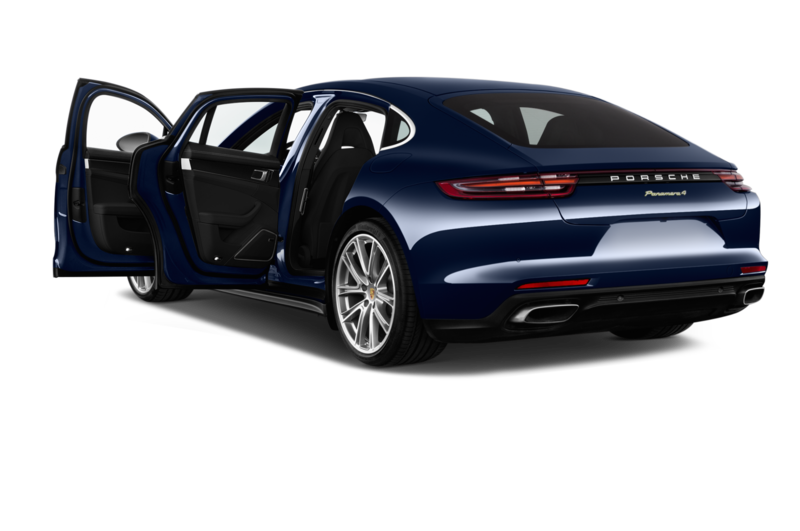 That said, the Sport Turismo was nothing but utterly secure, even when powering through rain-drenched canyon two-lanes. 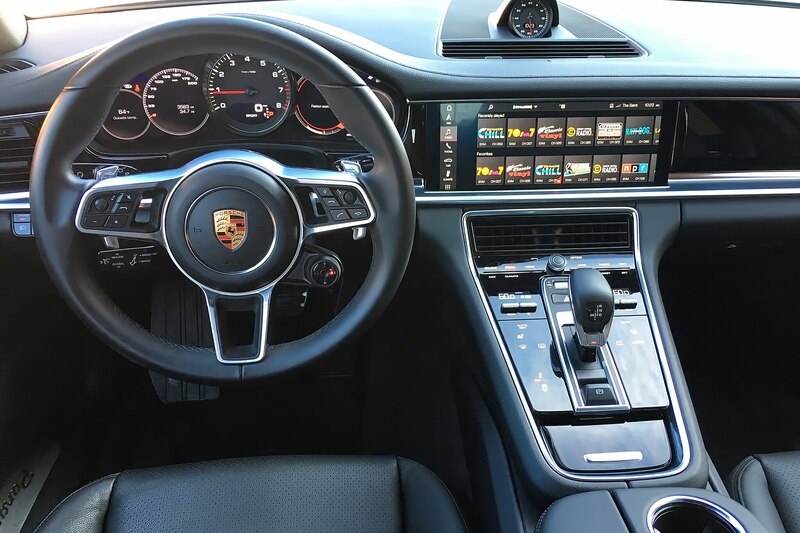 The first time I walked to the cockpit, key fob in pocket, I reached for the driver’s door handle and . 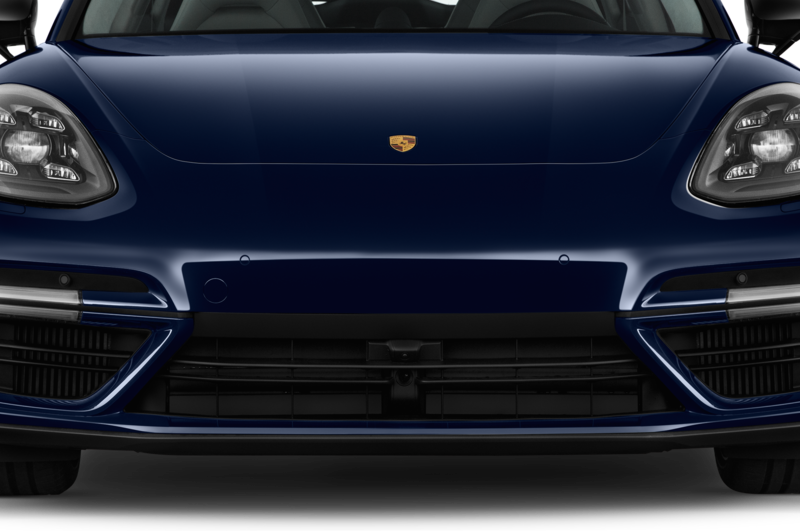 . . nothing. 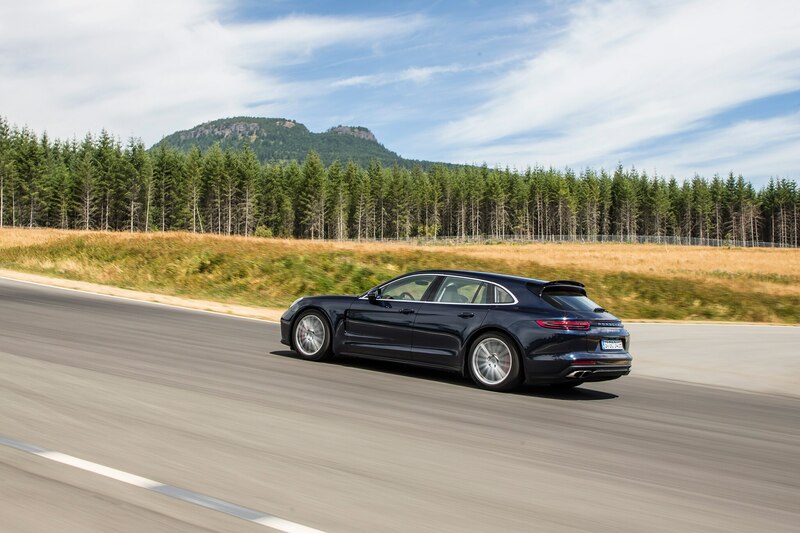 I was shocked to discover that my test car lacked proximity entry. 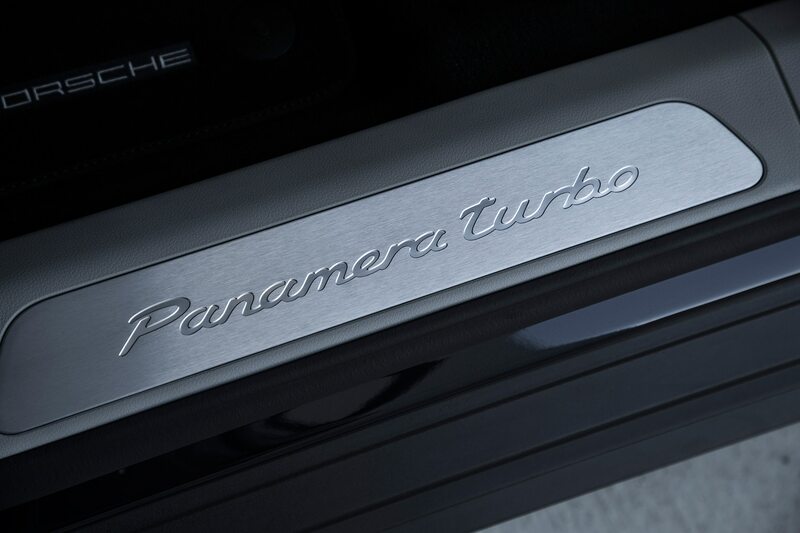 That’s simply an unforgivable omission on a machine costing nearly $130,000. 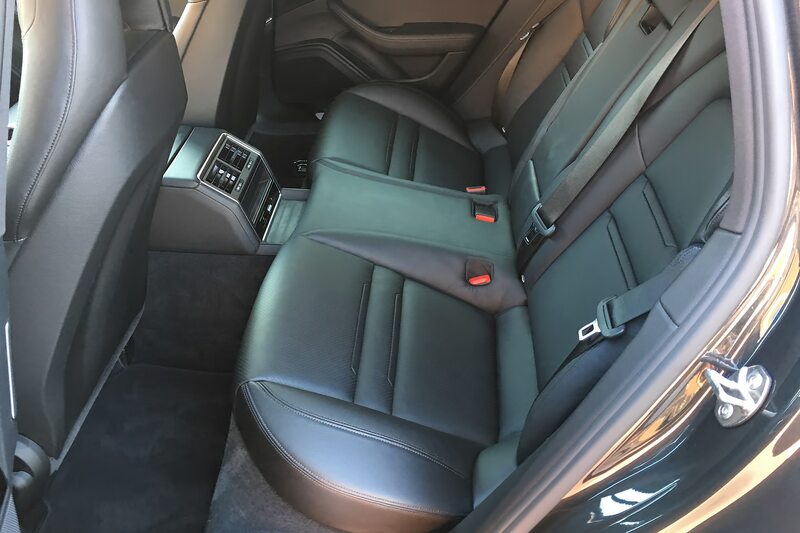 (The Hyundai Santa Fe I drove the week before stickered at just under $30K and had standard proximity entry.) 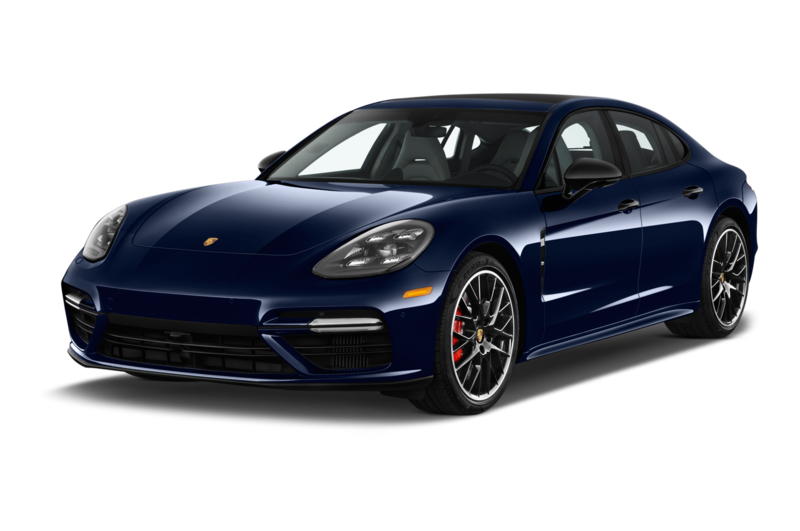 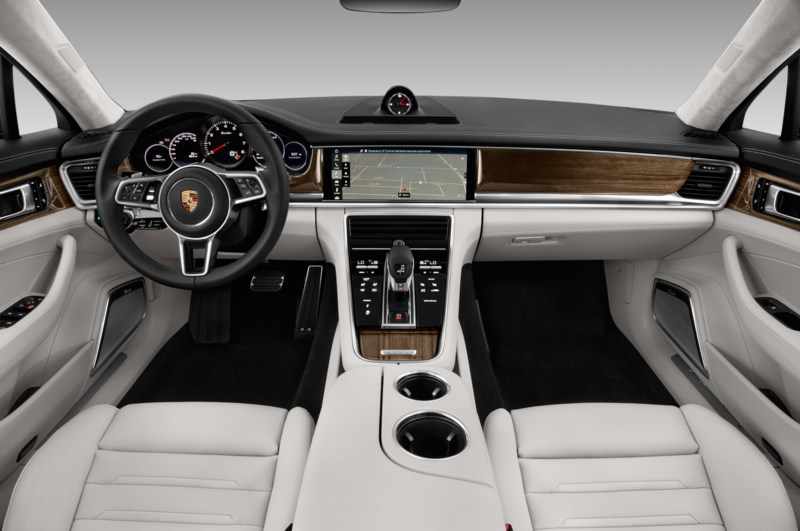 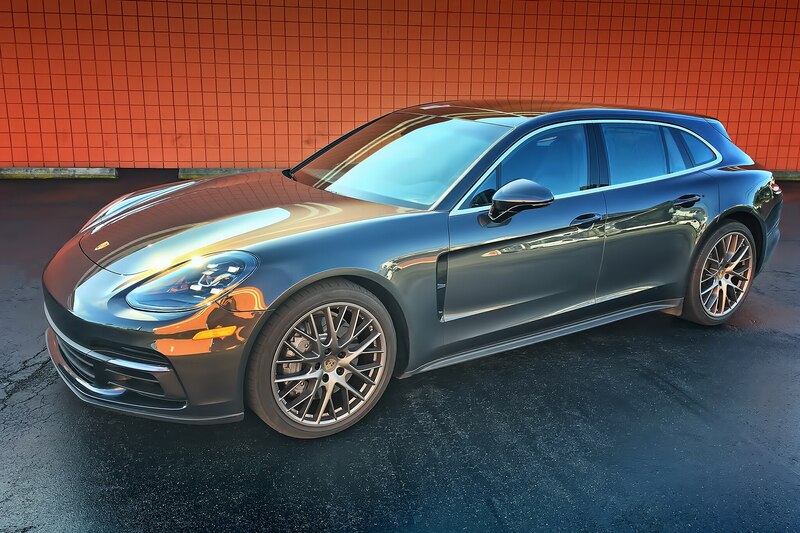 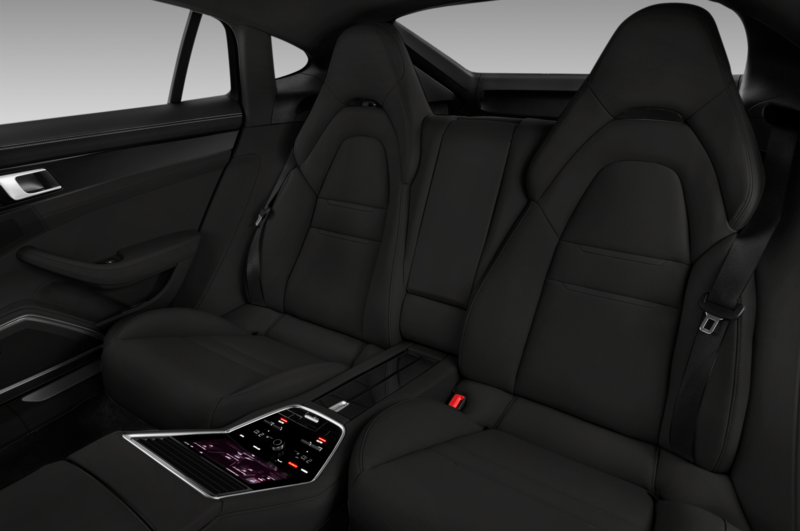 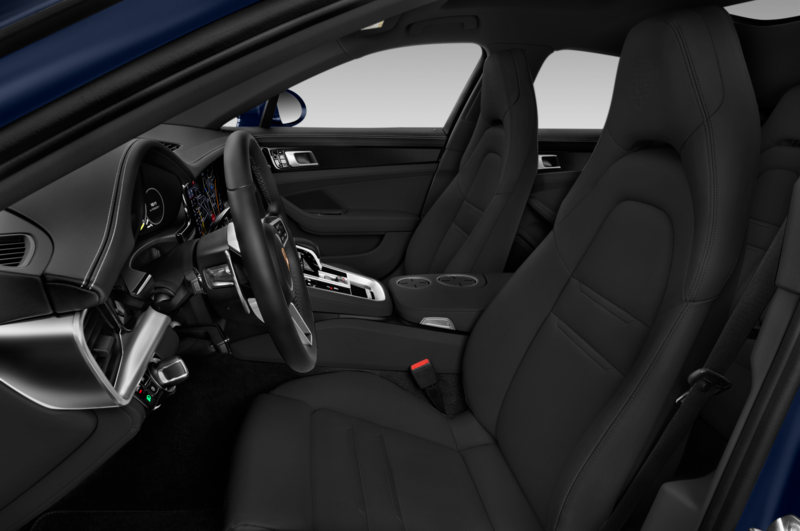 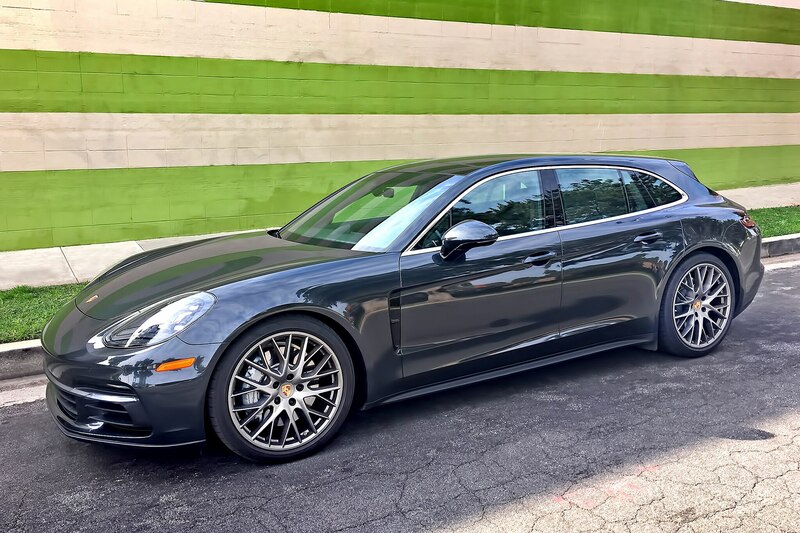 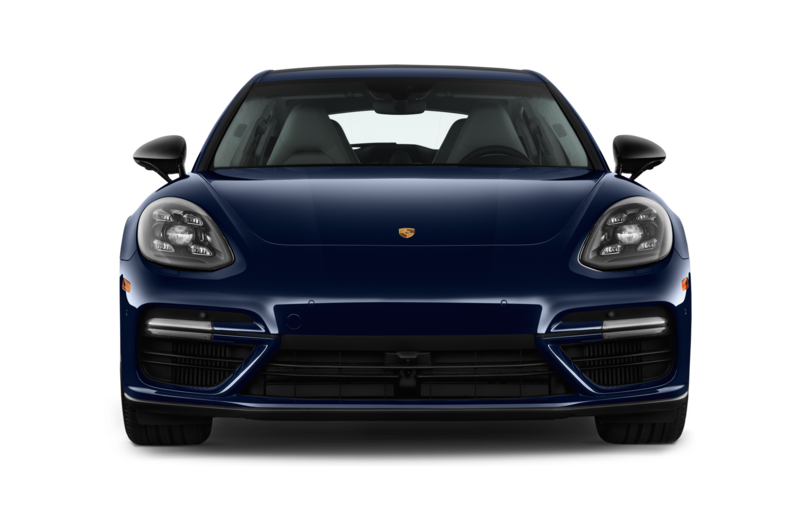 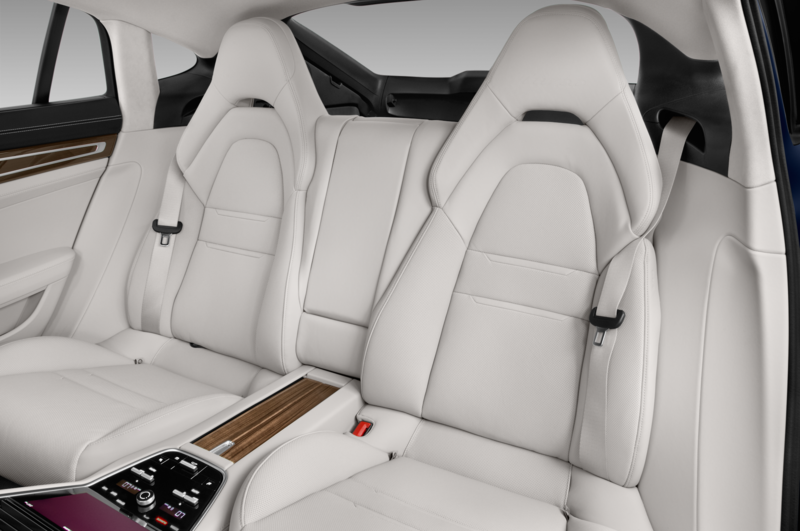 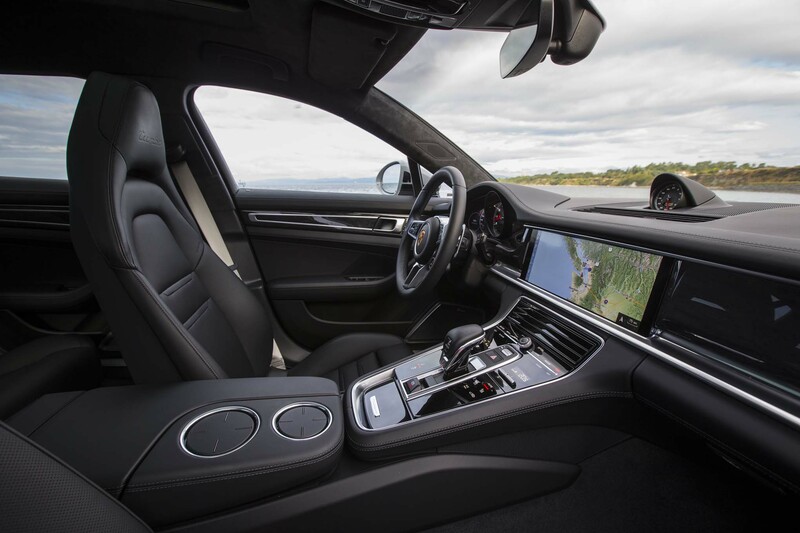 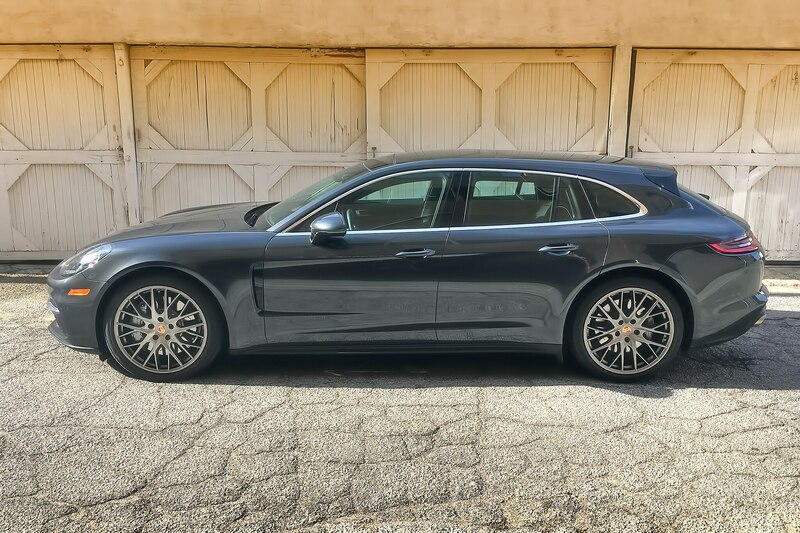 Added-cost options on my Panamera included a heated steering wheel ($280), front and rear heated seats ($550), lane-change assist ($1,060), and great-looking satin-finish 21-inch Sport Design wheels ($5,110). 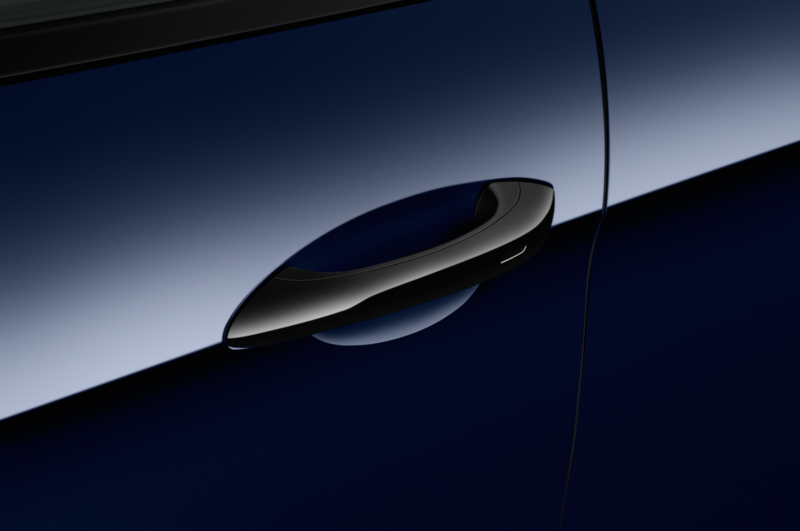 Amber side markers are free. 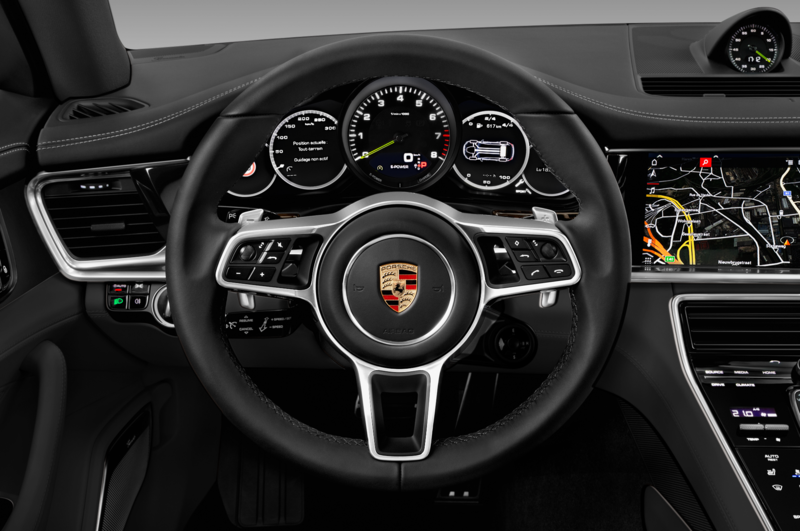 The cockpit is a lovely place, with fine leather seats, a superb steering wheel, and a clean, luxurious look. 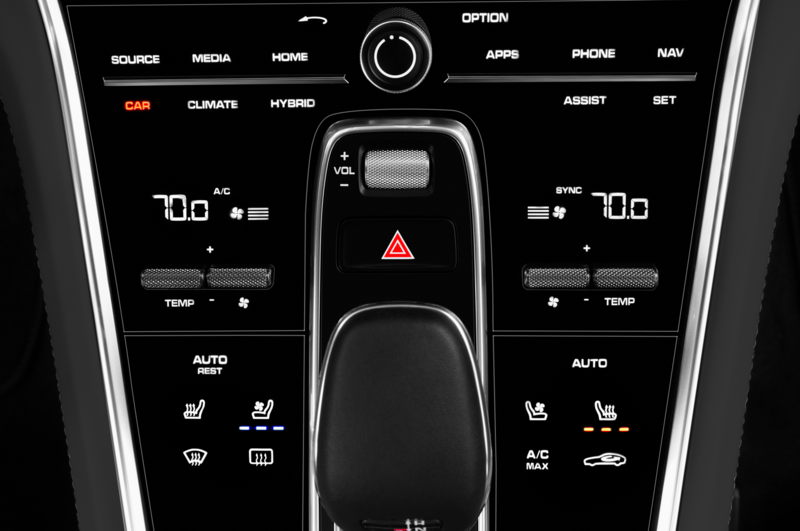 The center console and displays were significantly redesigned during the gen-two refresh, removing many of the previous hard buttons and switches in favor of touchscreen controls. 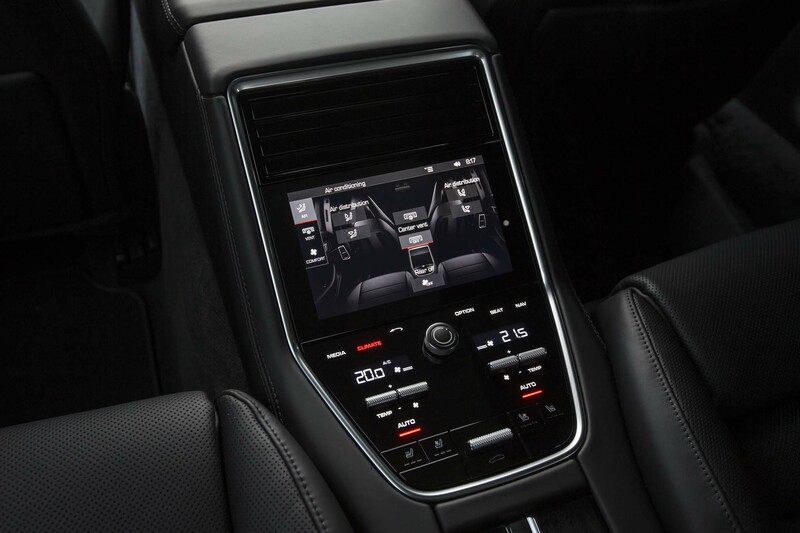 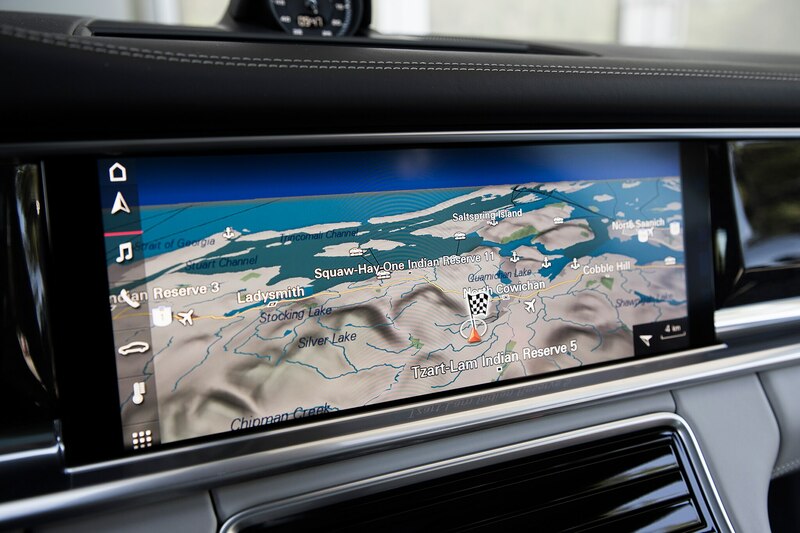 The infotainment system, which runs through a beautiful 12.3-inch high-res color display, is enormously comprehensive, loaded with submenus for accessing almost any piece of vehicle data or entertainment source you could want. 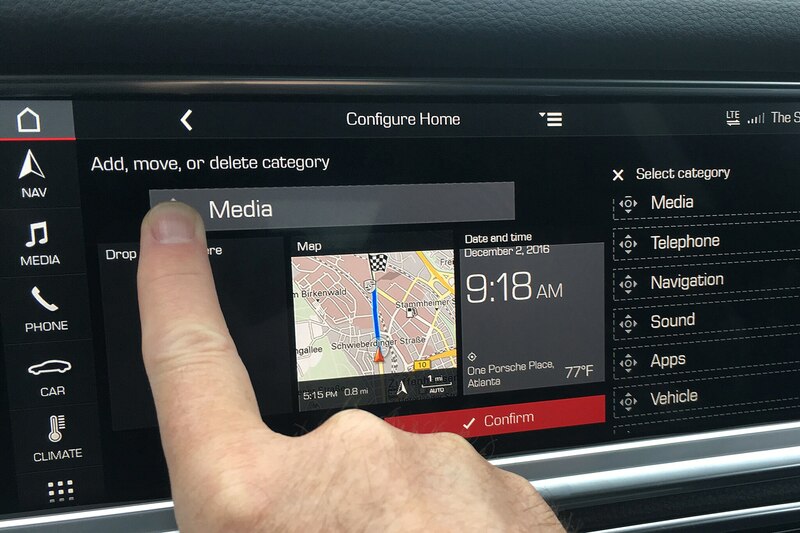 The potential for information overload is certainly there, but in daily use I found myself quickly adapting to the interface. 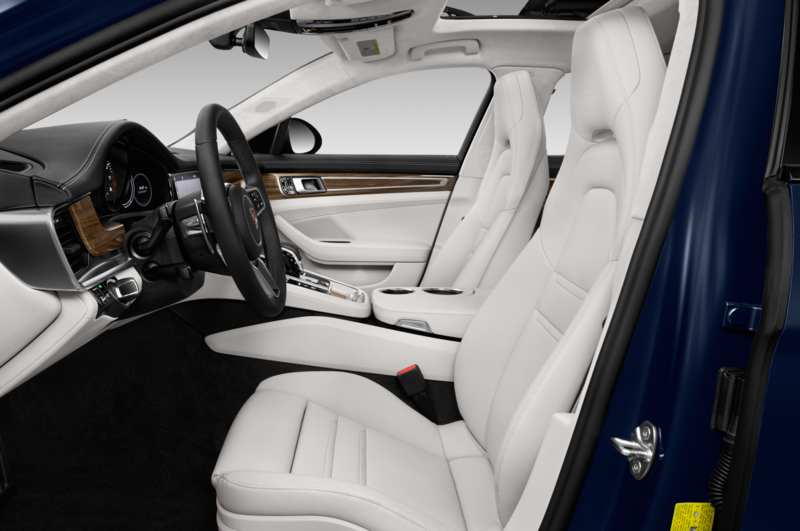 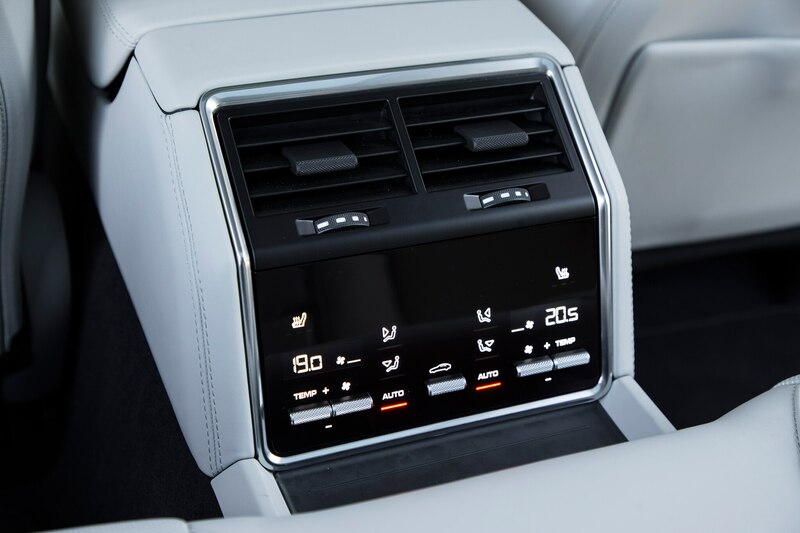 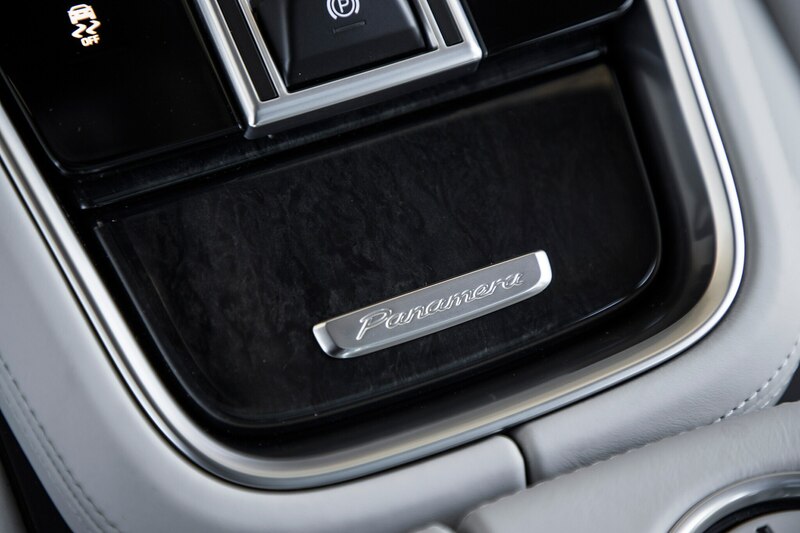 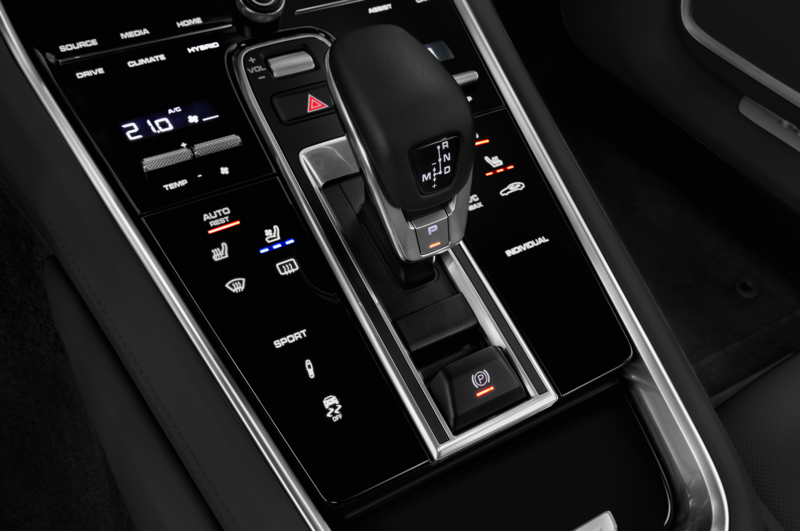 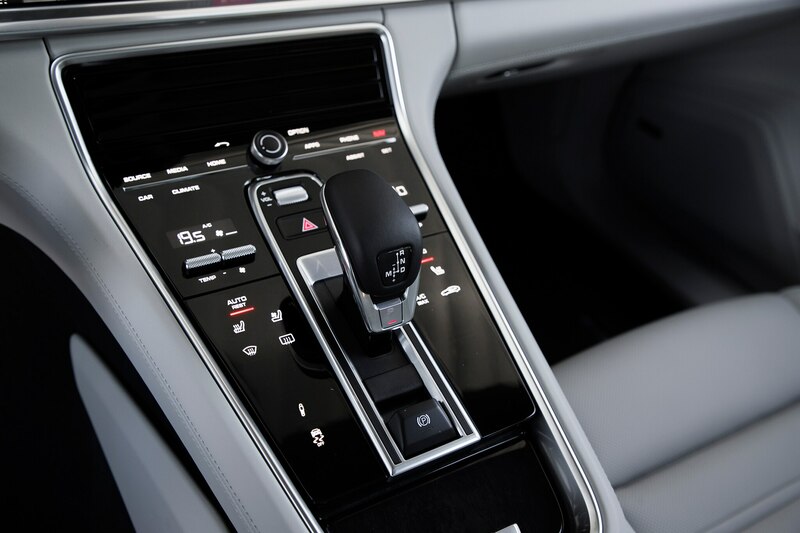 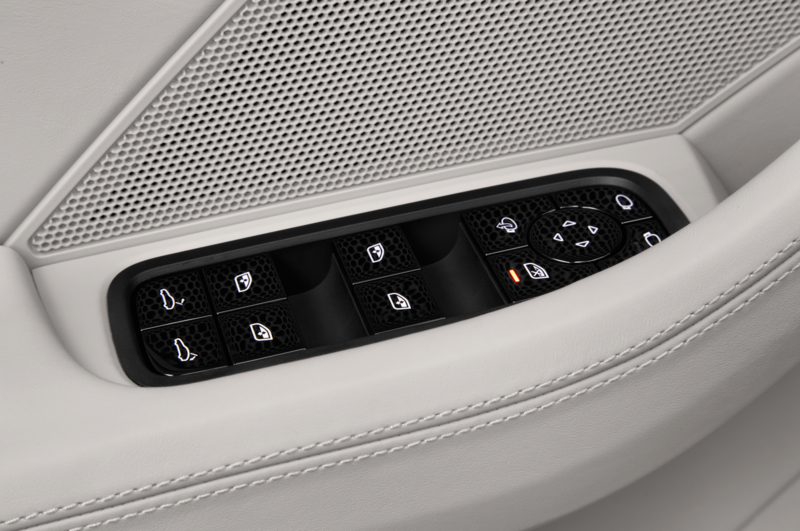 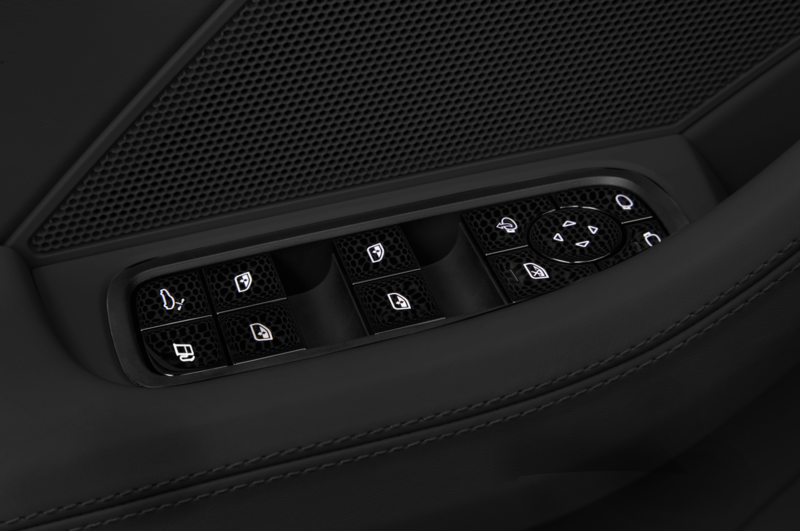 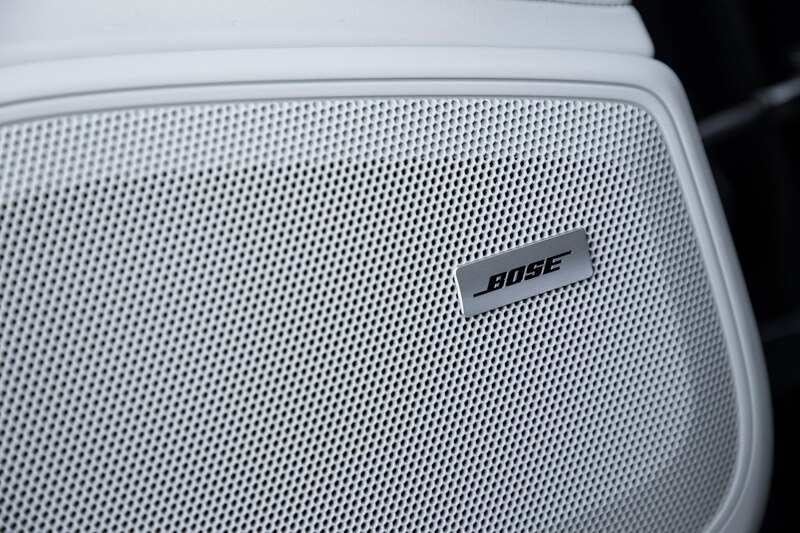 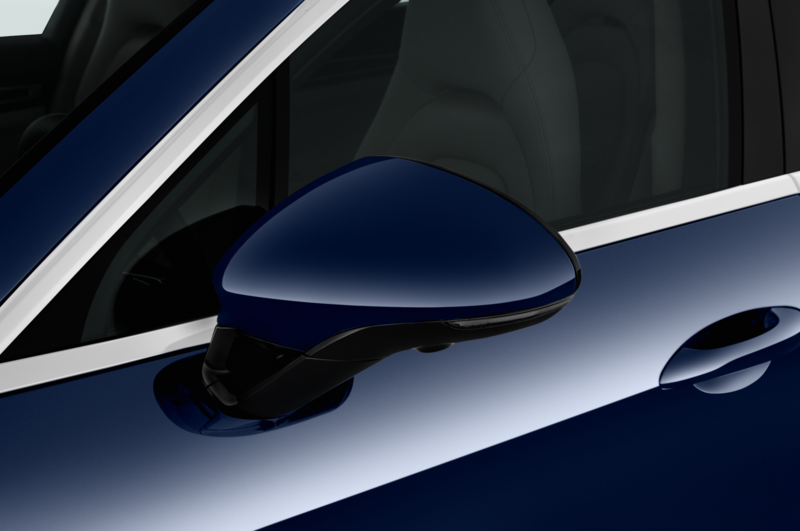 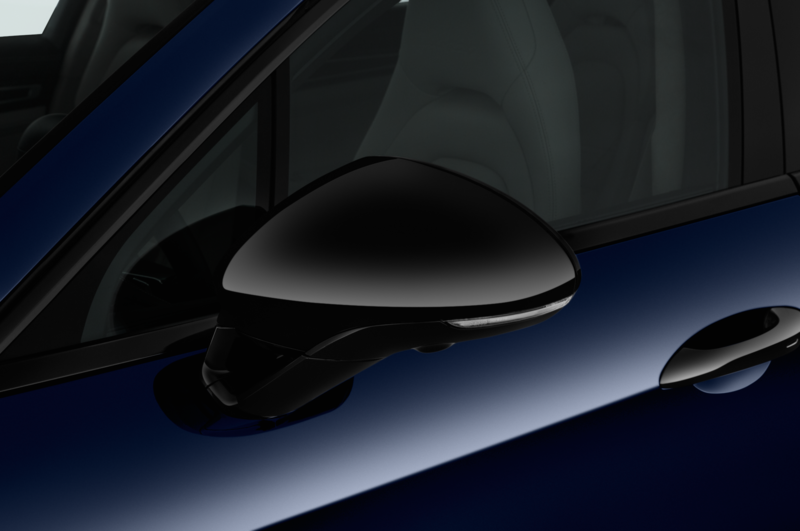 Hard buttons enable quick control of the climate-control temperature and fan settings, while haptic sensors allow easy configuration of systems such as heat seating and shock settings. 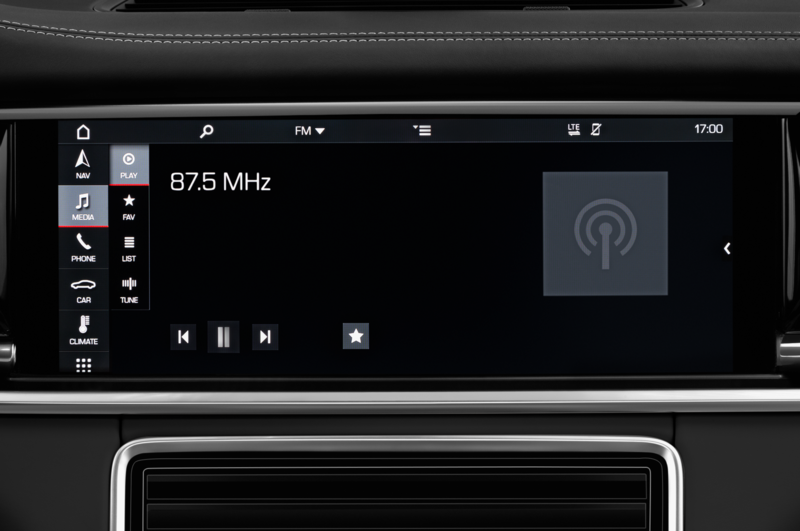 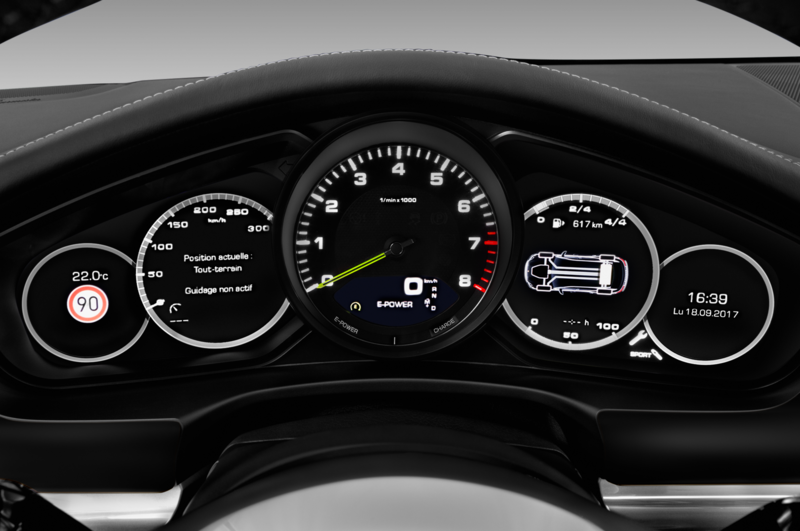 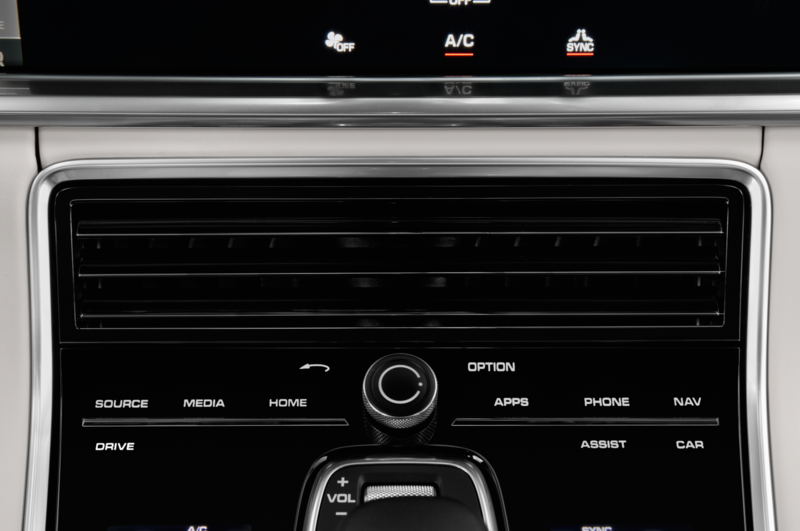 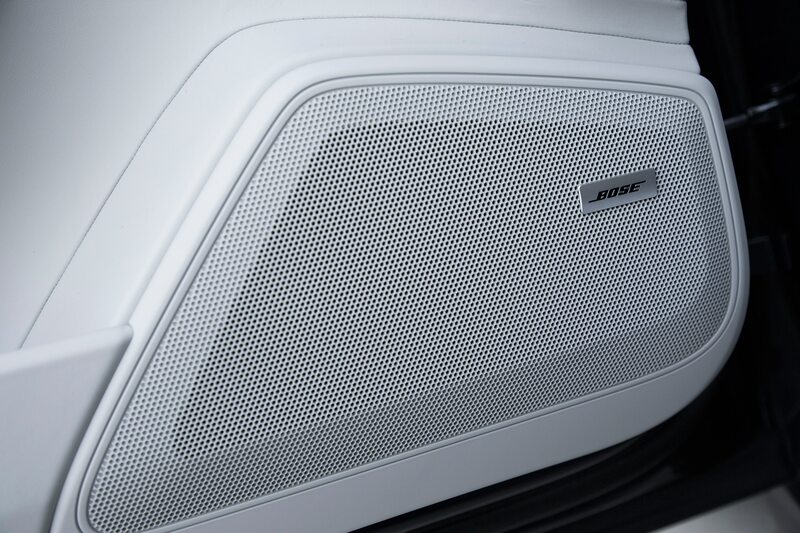 A stack of primary menu options stands at the left of the main display, making it easy to switch from, say, navigation to SiriusXM radio channels. 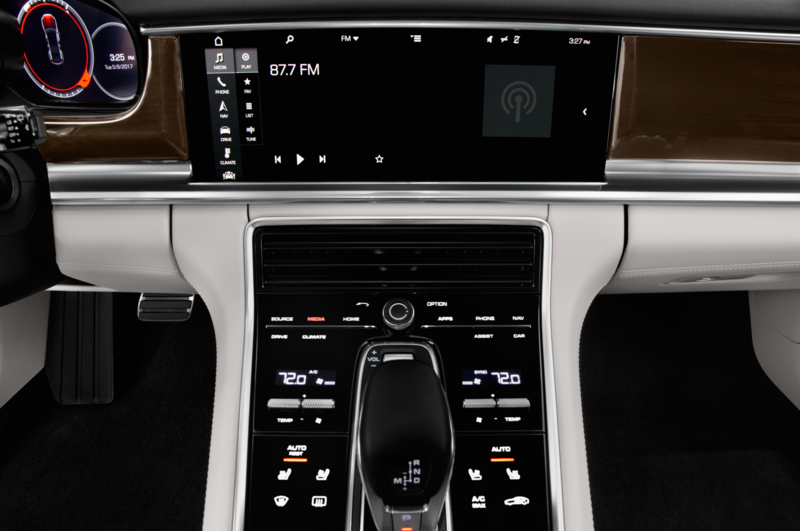 Importantly, a menu configuration allows you—when the vehicle is stopped—to customize the primary display window simply by dragging and dropping your favorite submenus onto any one of five different template layouts. 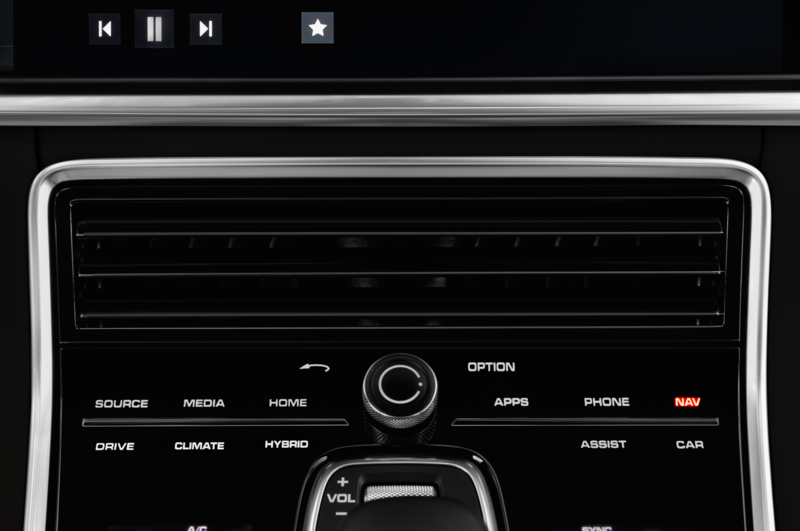 Perhaps you’d like to see only the nav map, the current audio source, and your phone window? 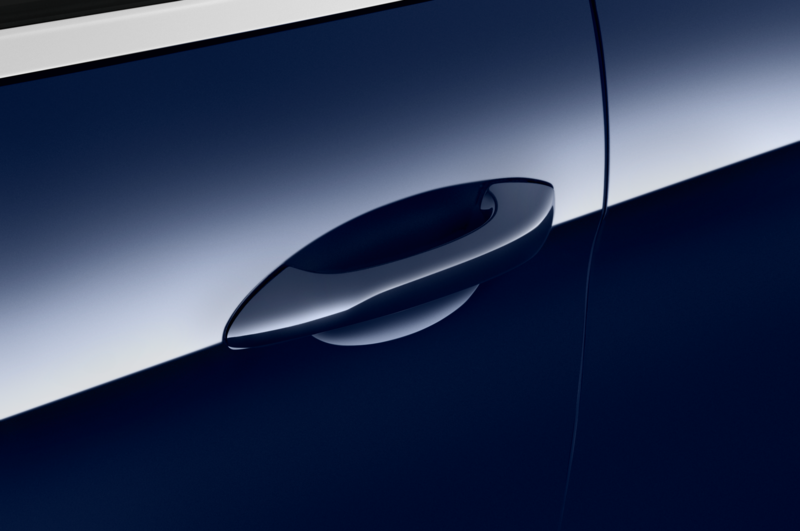 A few taps of the finger and—voila! 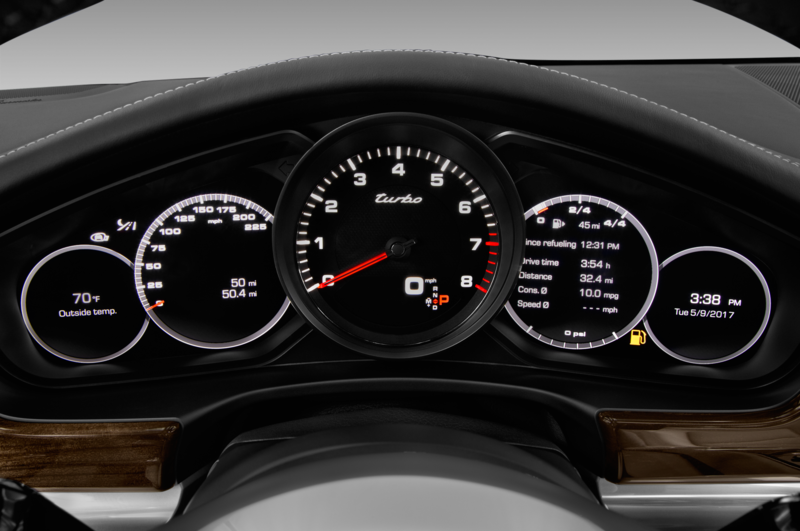 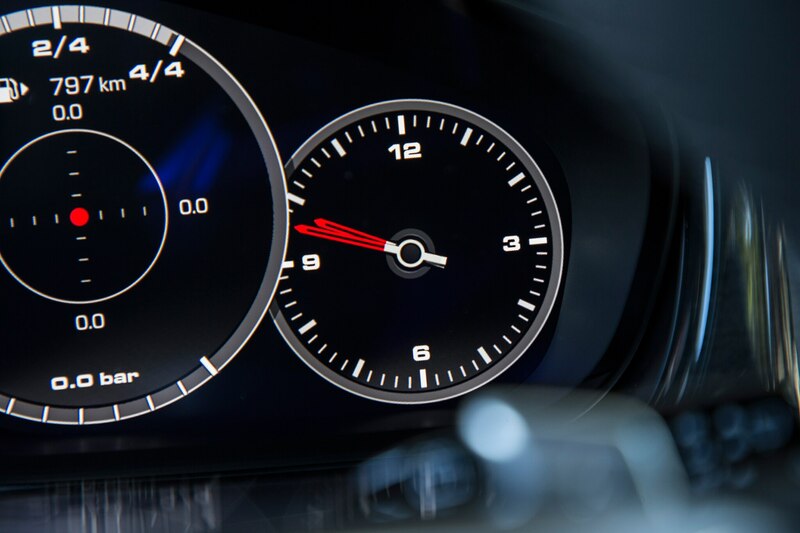 Also effective are two small textured roller balls on each side of the steering wheel; simply thumb them to call-up different info on the main instrument displays, say, a g meter or something more mundane like a fuel gauge. 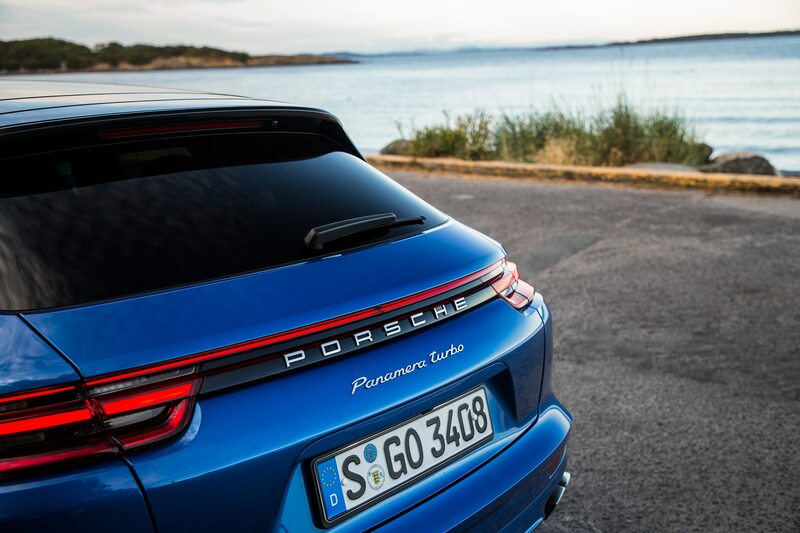 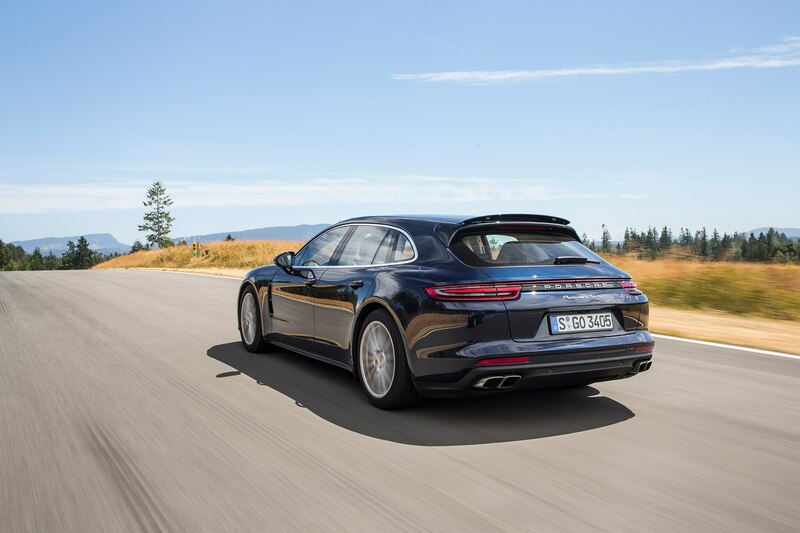 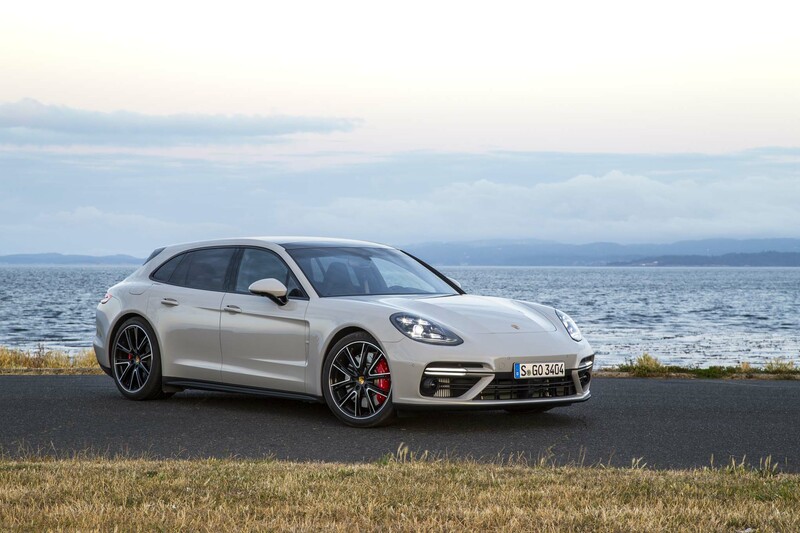 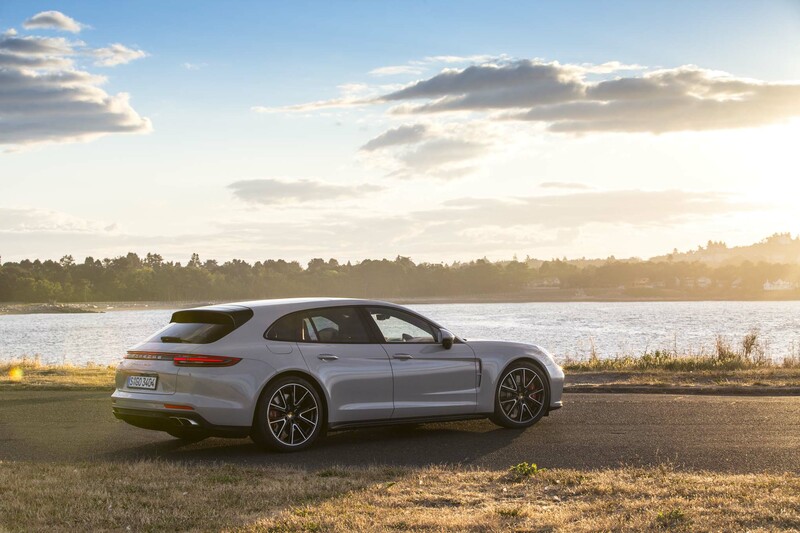 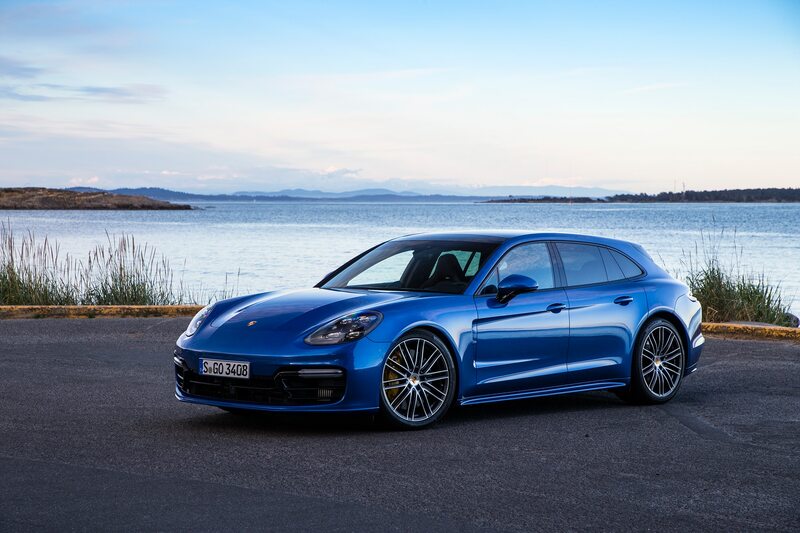 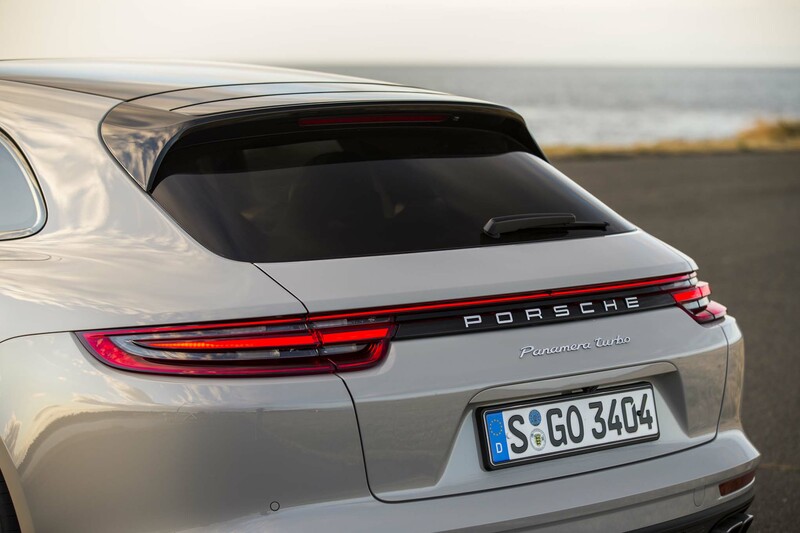 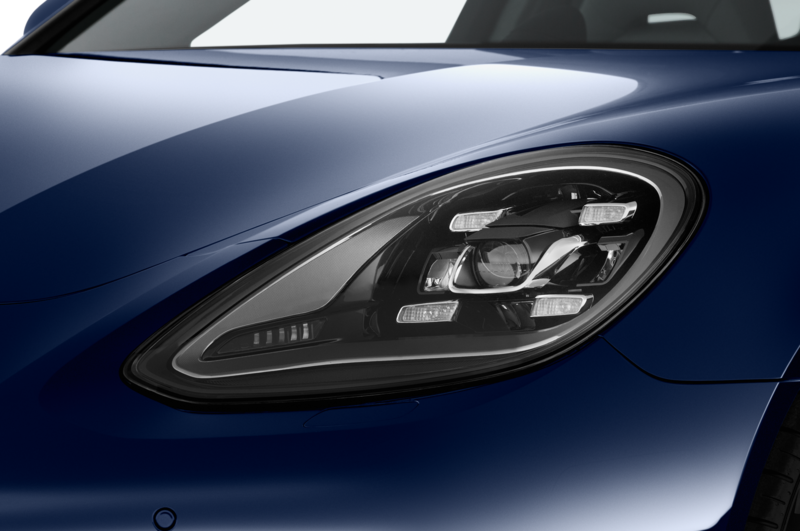 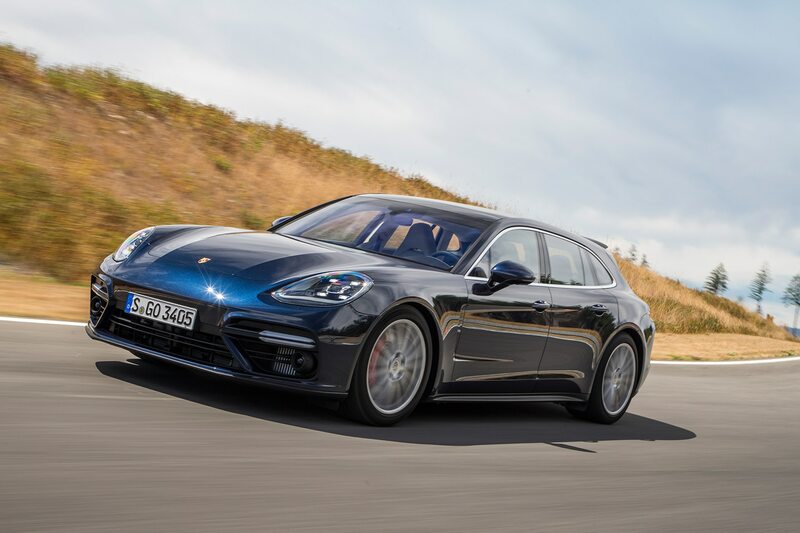 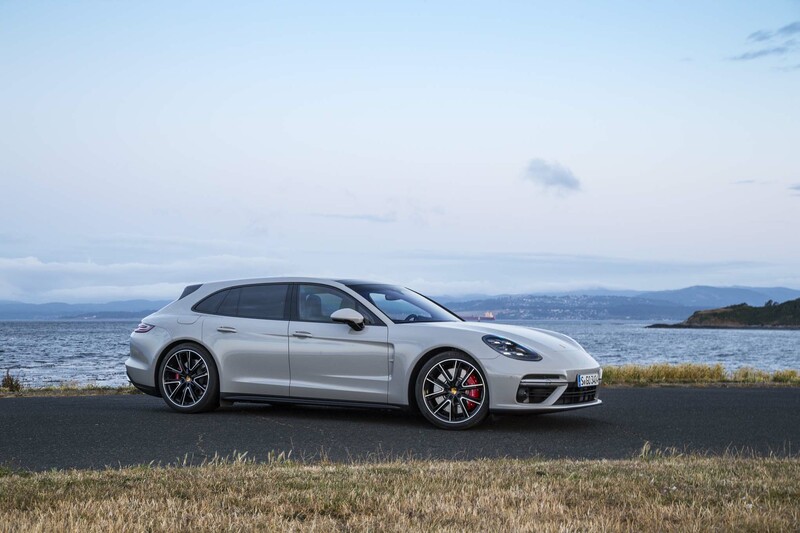 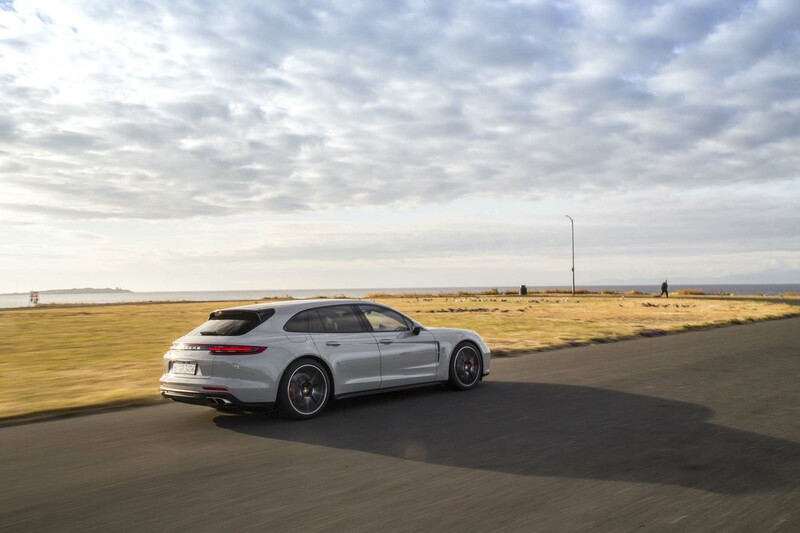 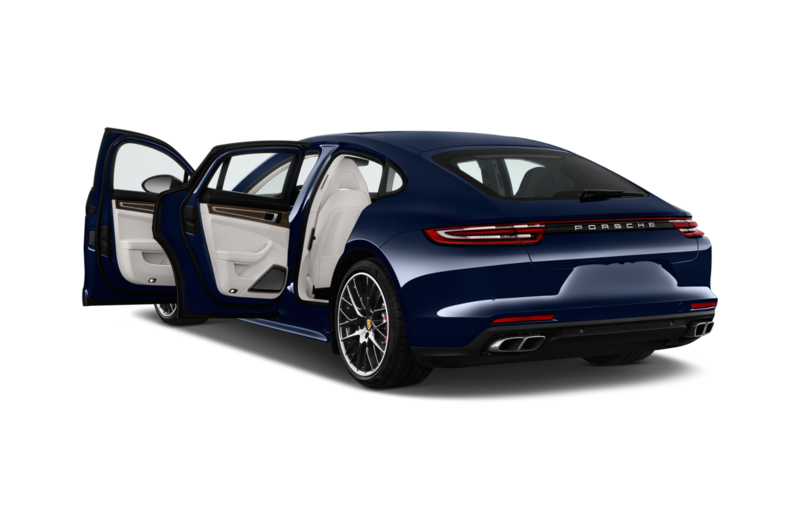 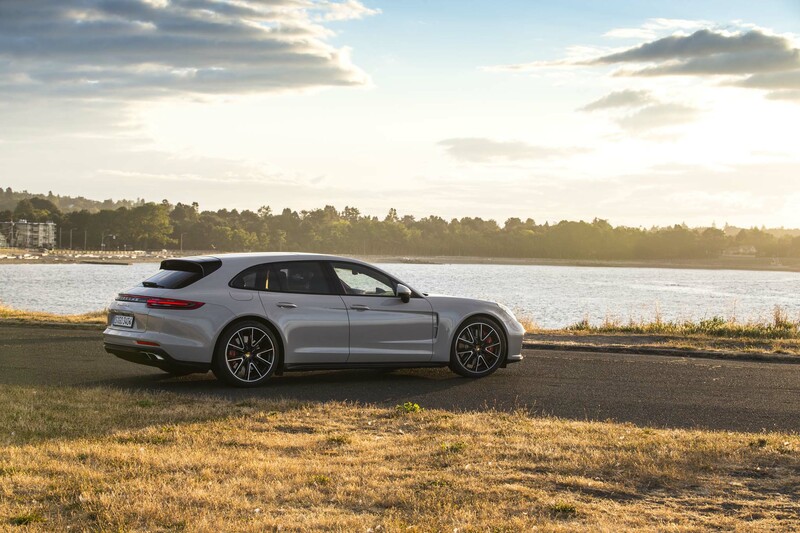 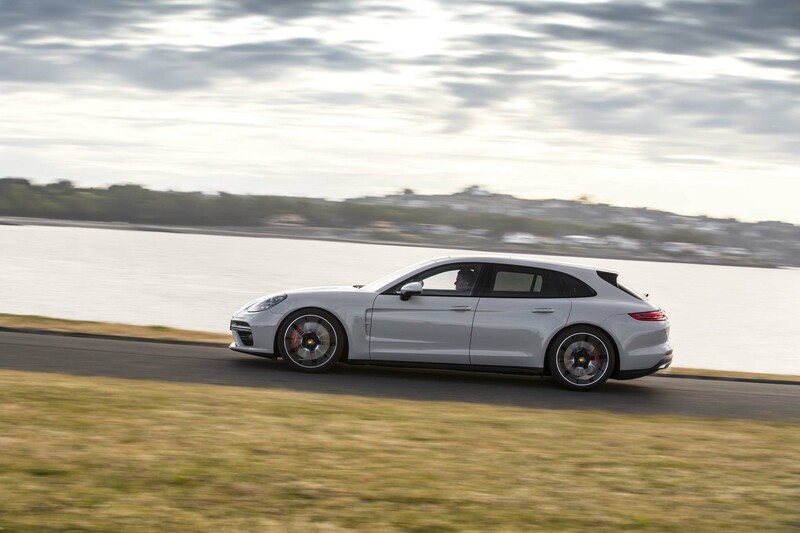 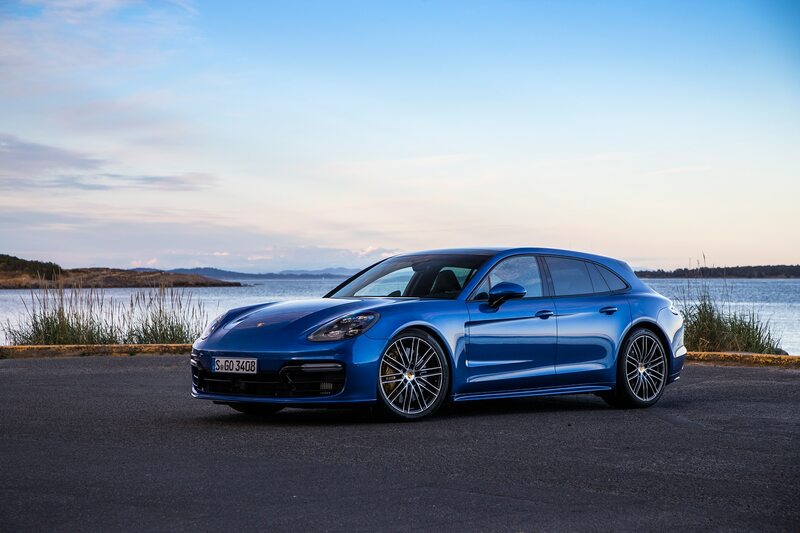 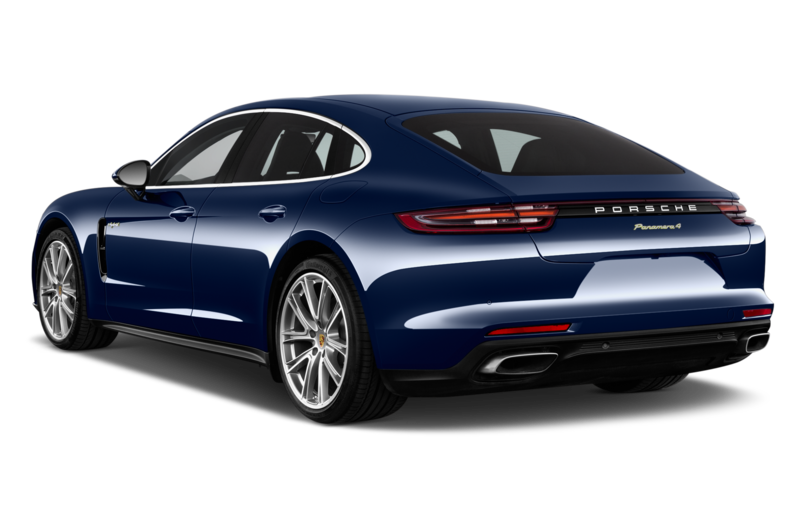 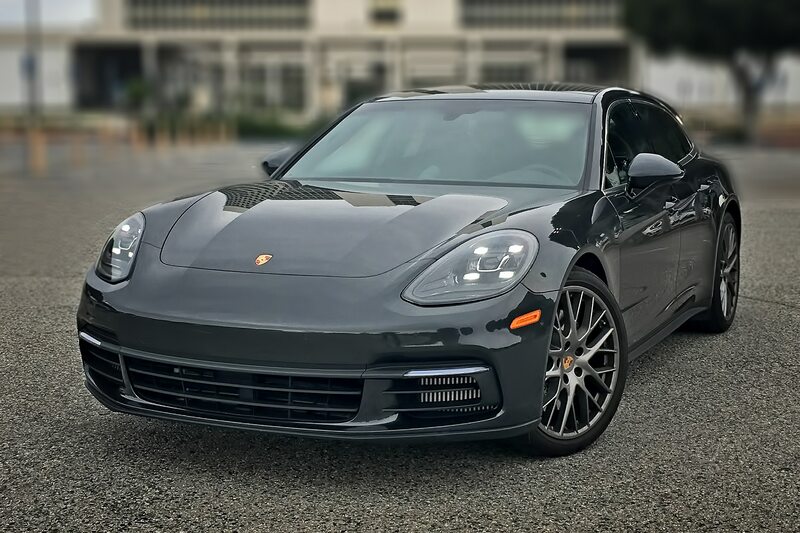 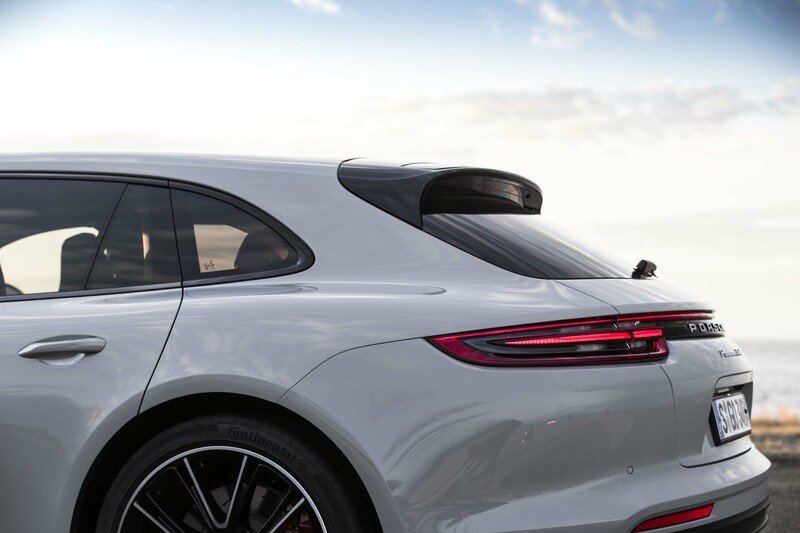 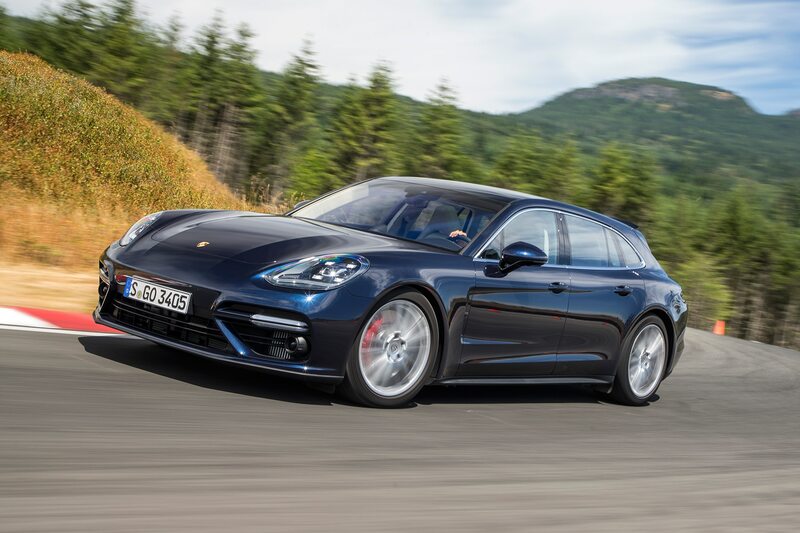 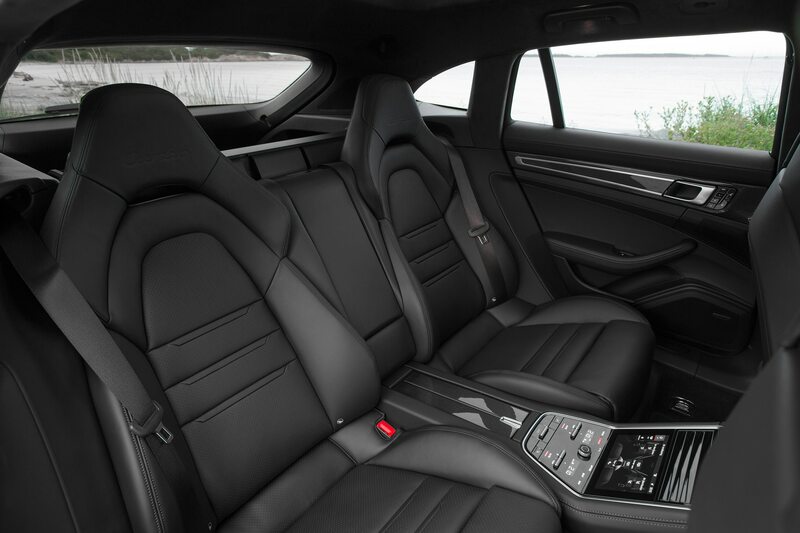 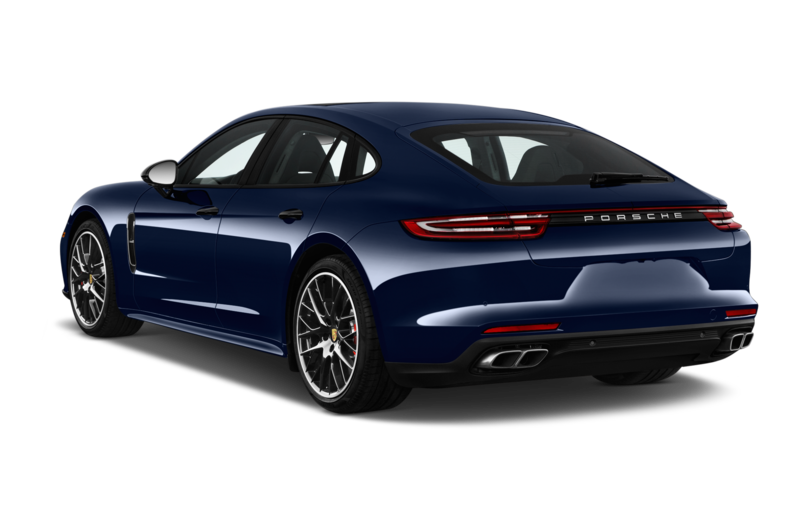 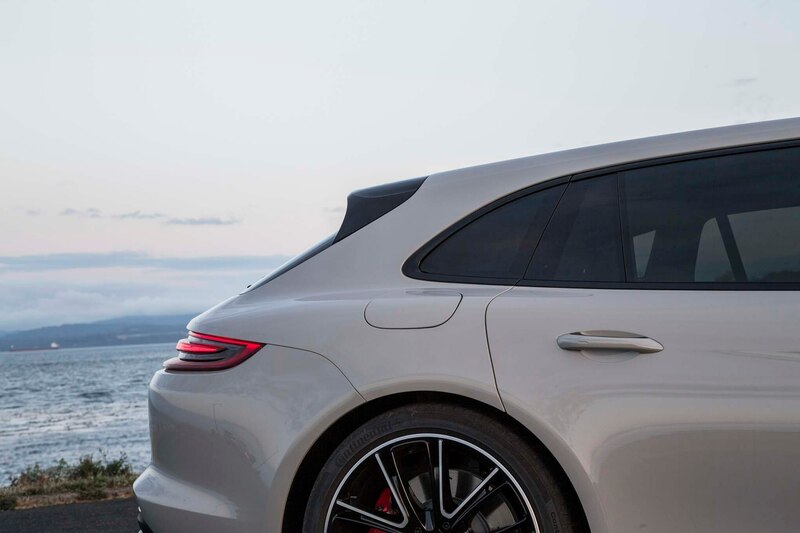 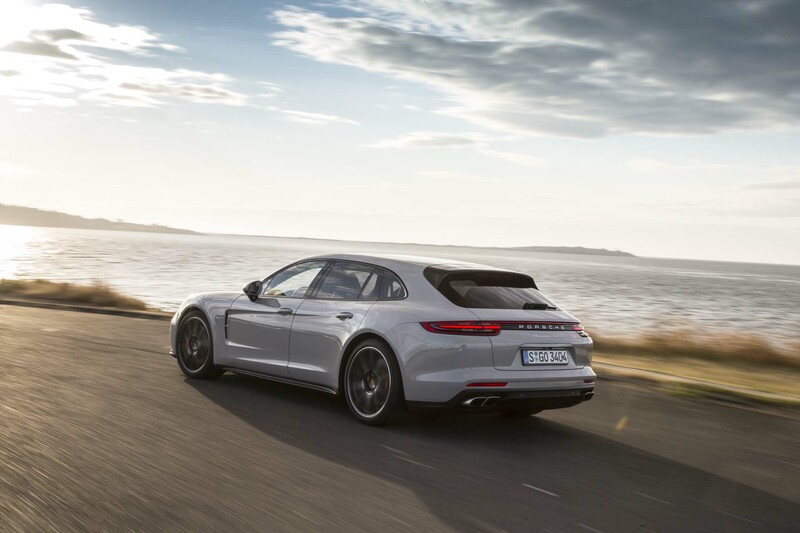 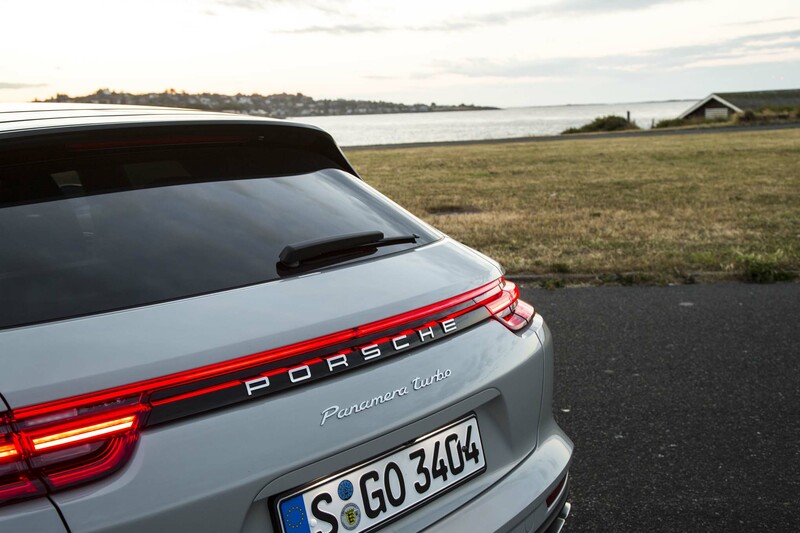 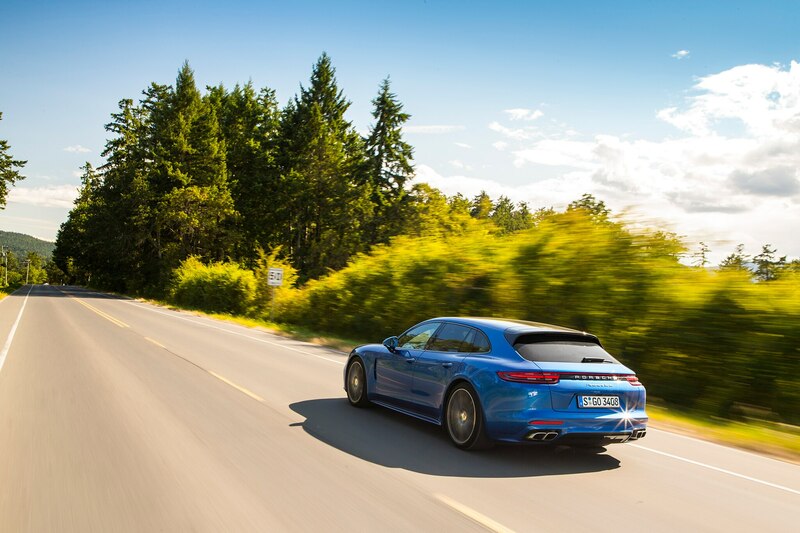 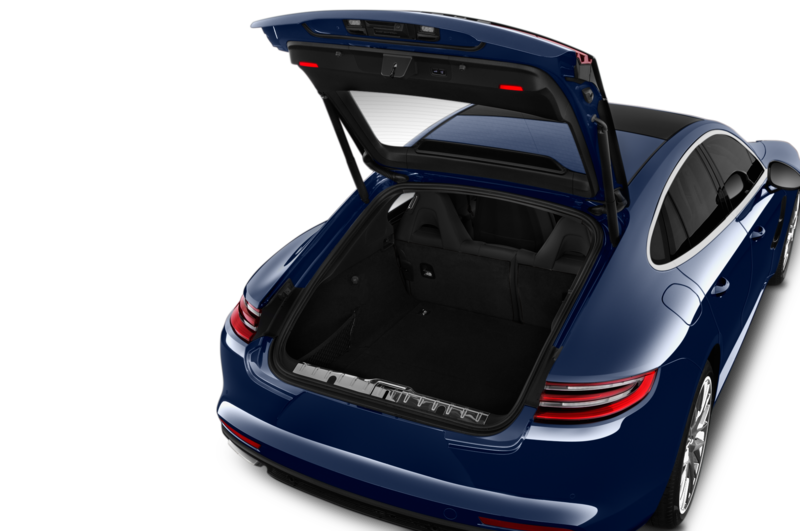 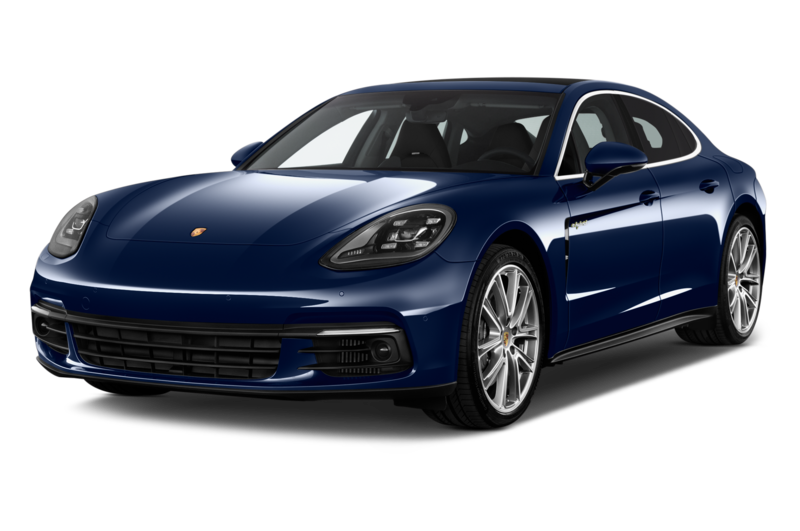 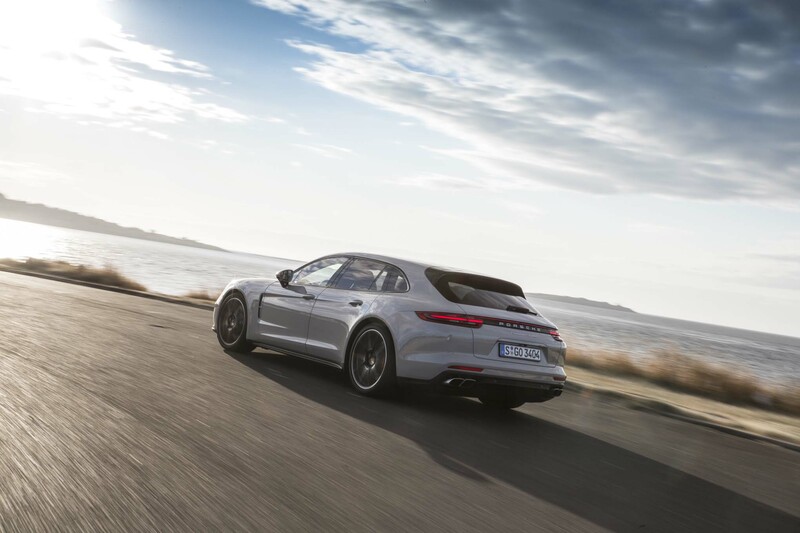 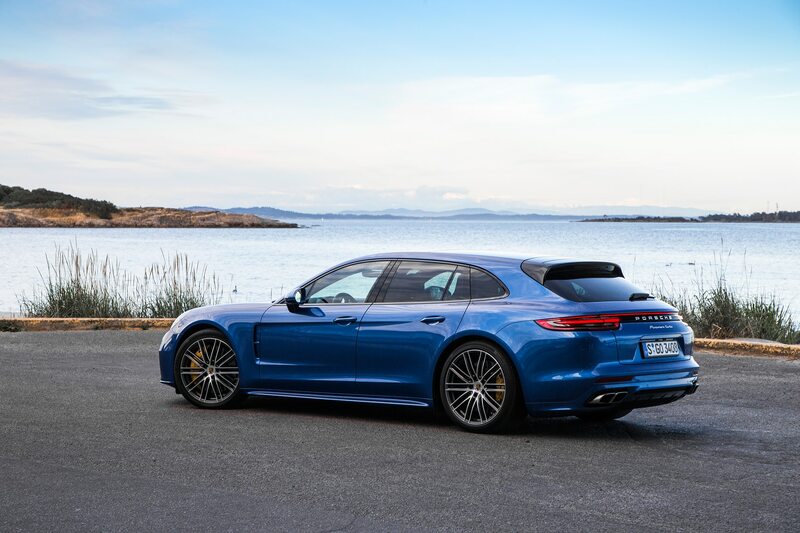 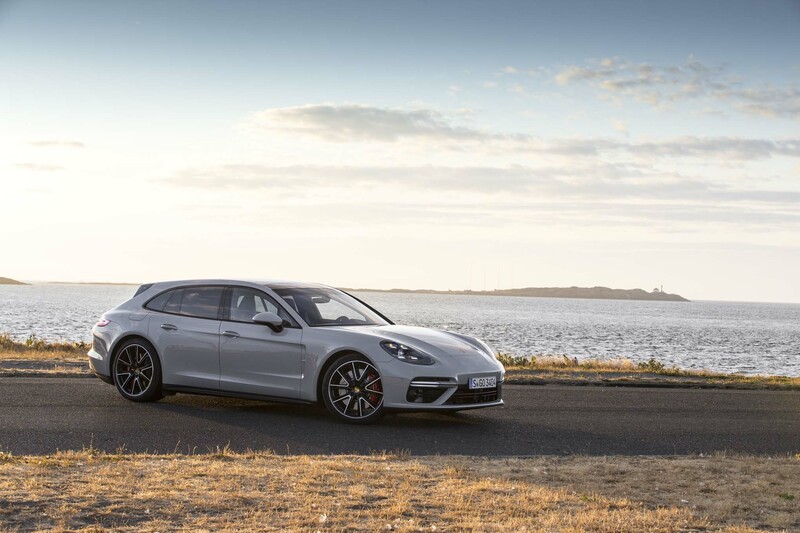 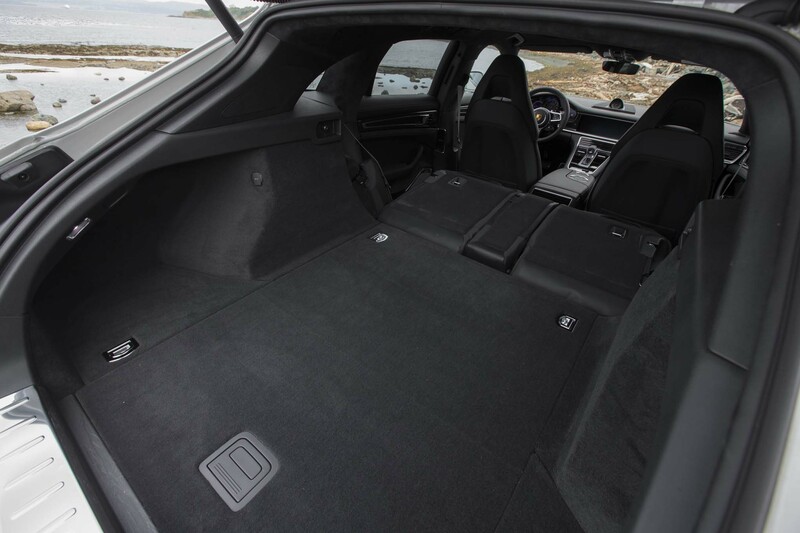 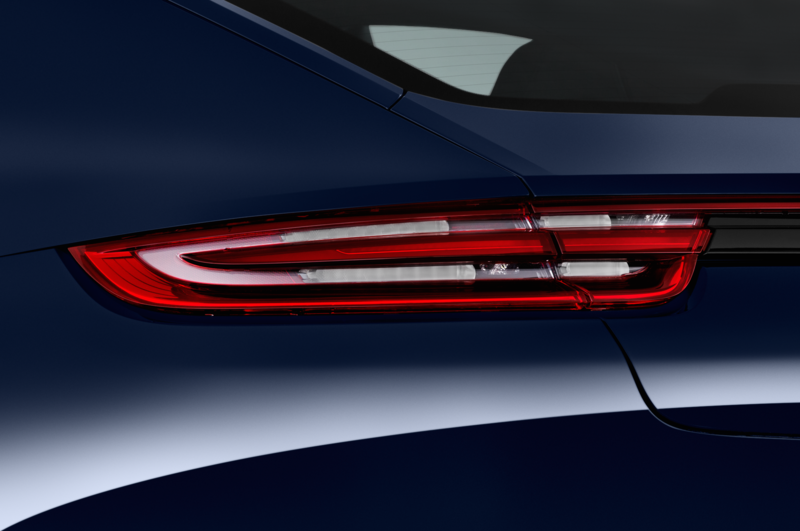 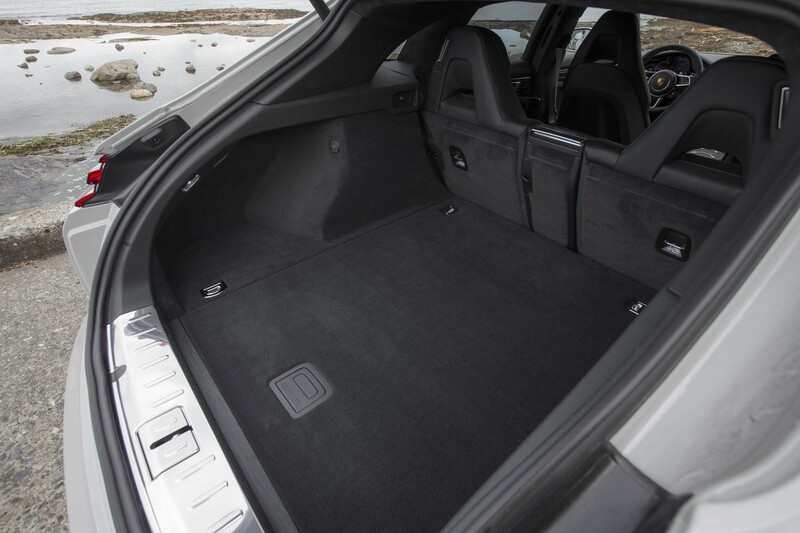 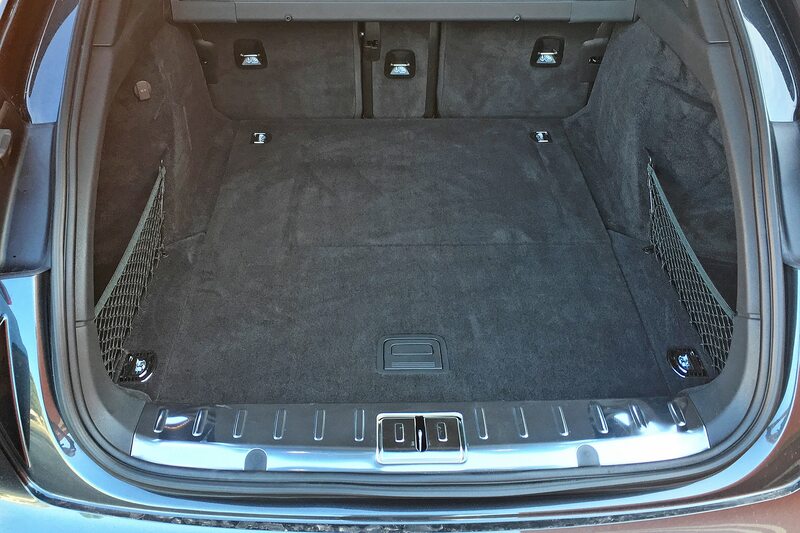 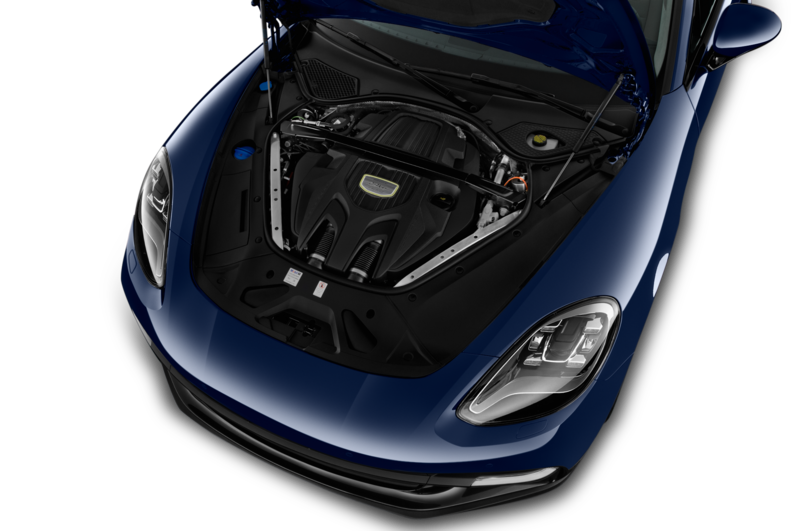 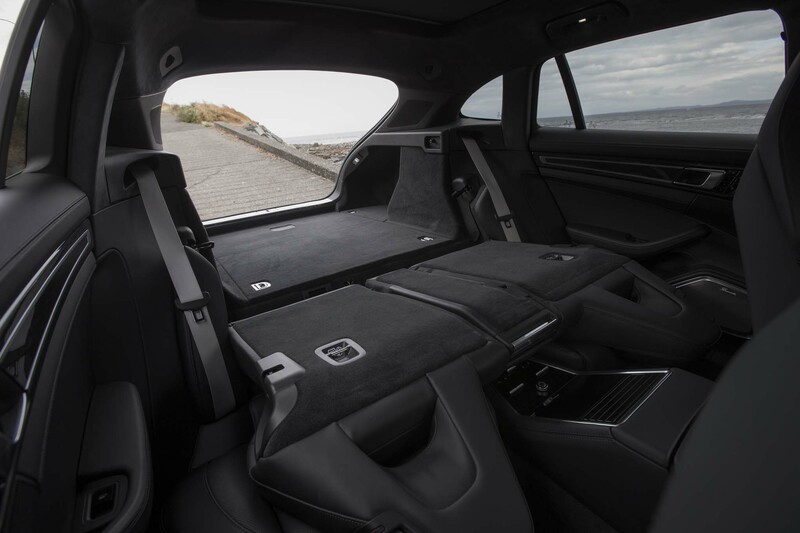 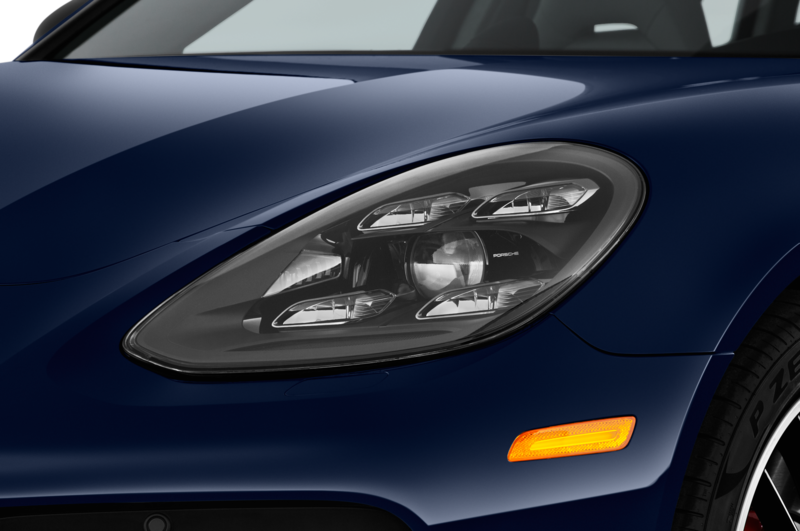 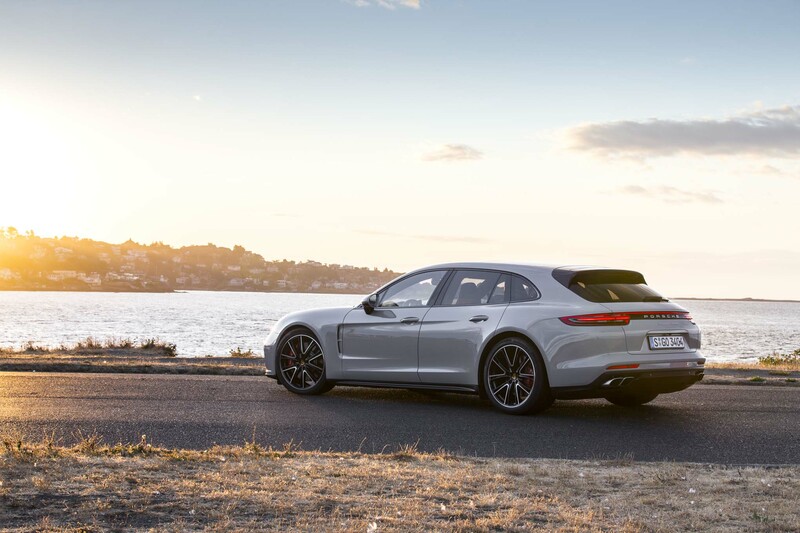 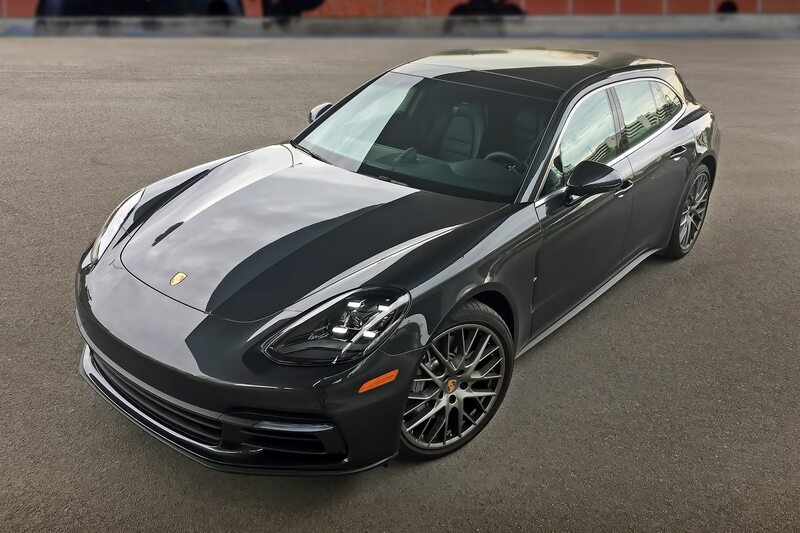 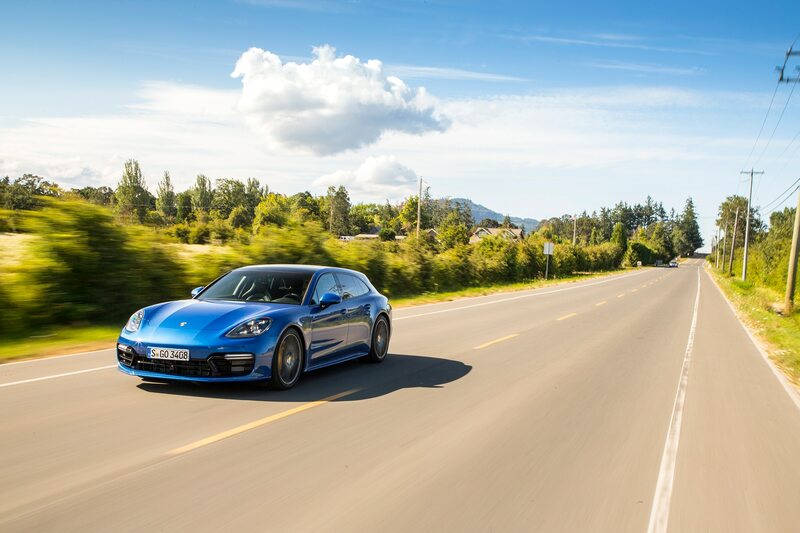 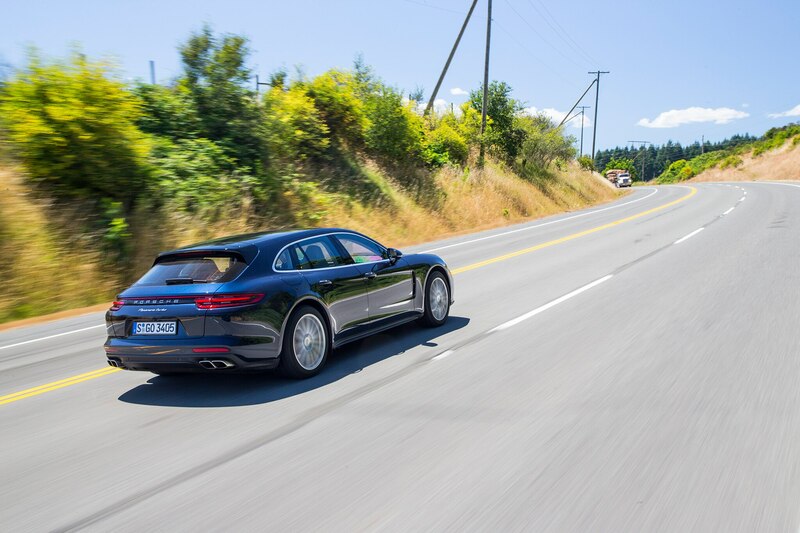 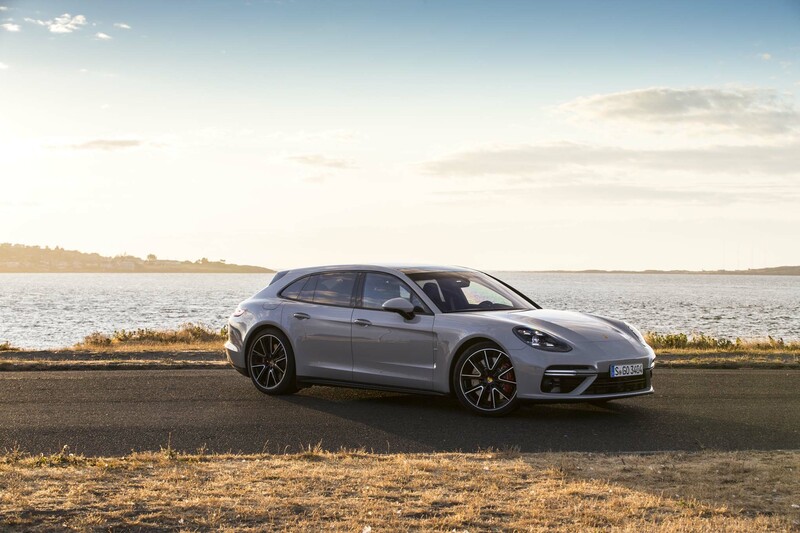 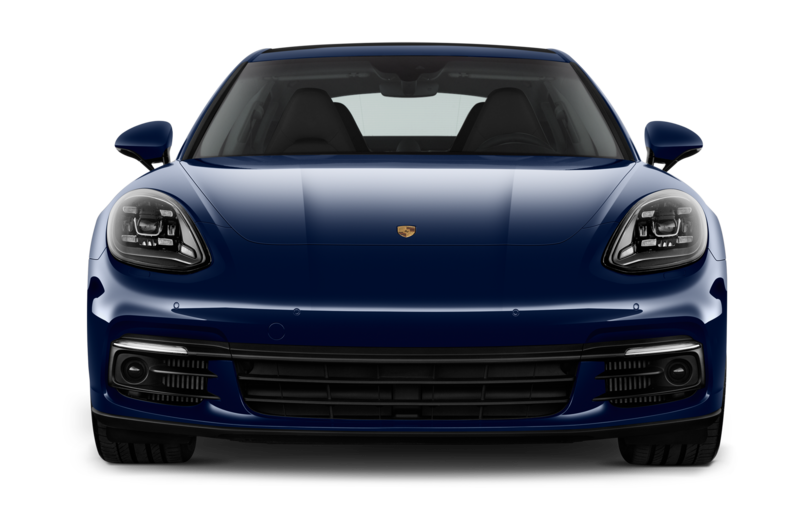 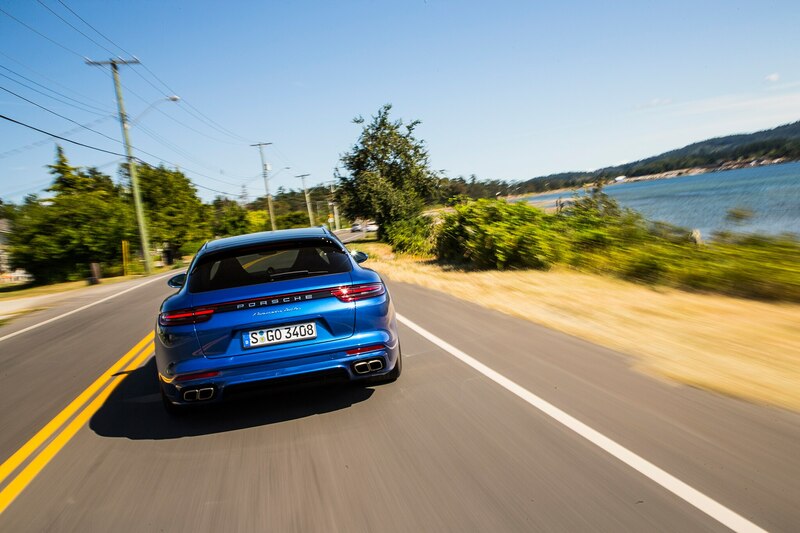 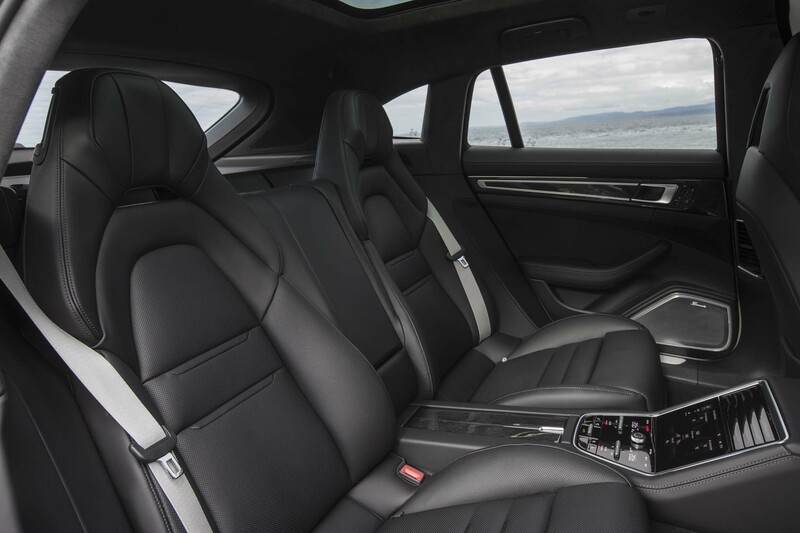 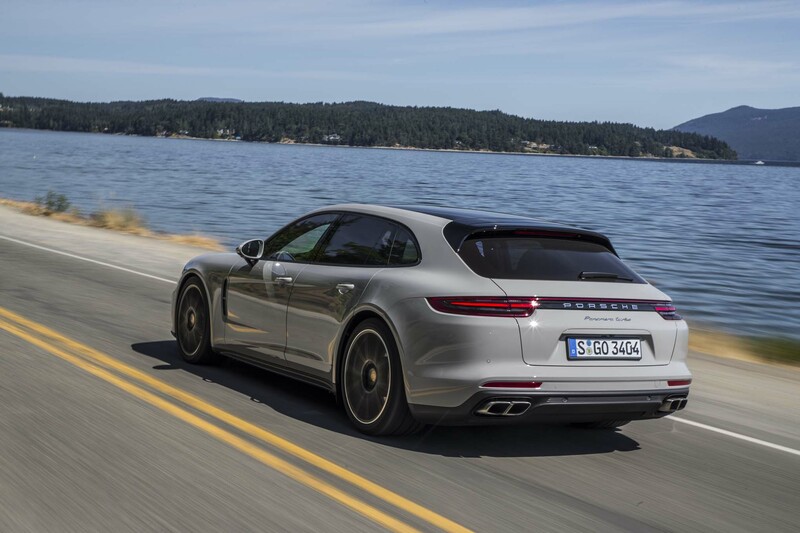 Compared with the “standard” Panamera, the Sport Turismo offers a couple of additional feet of rear cargo room, a lower rear lift-in height under the hatch, and the ability to carry three adults in back. 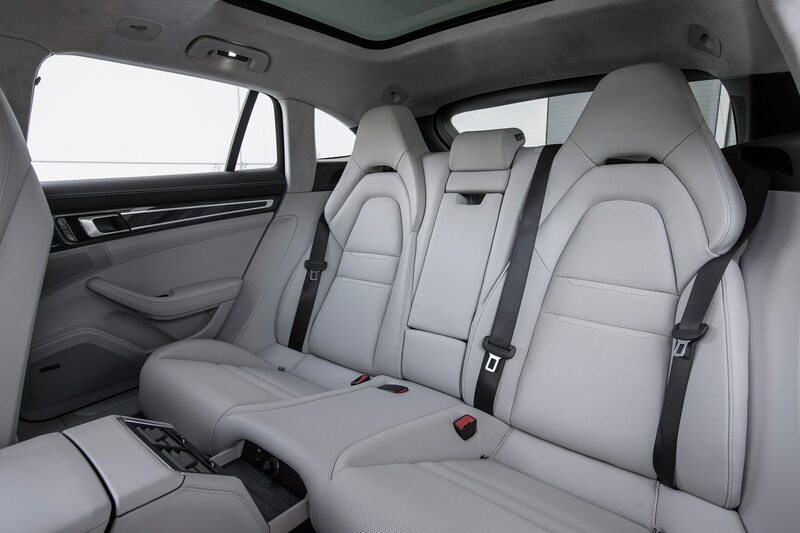 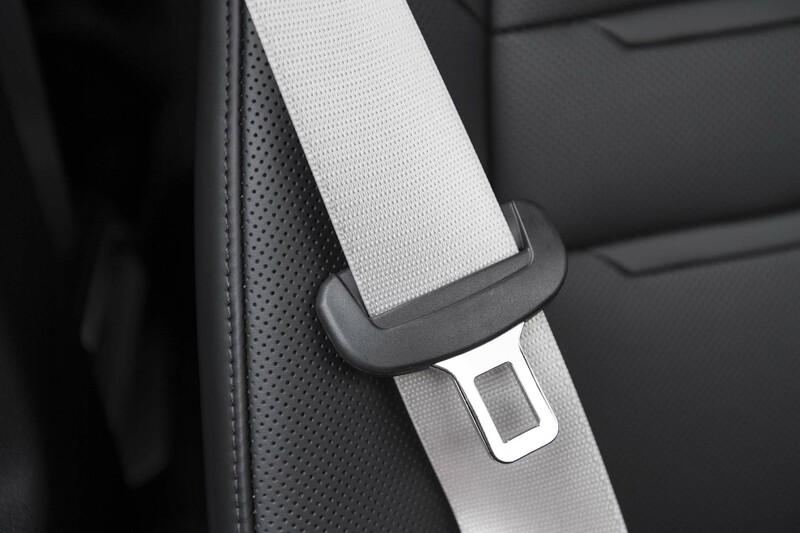 My test car included three sets of rear seat belts, but after trying the center “seat” I wouldn’t want to sit there for long. 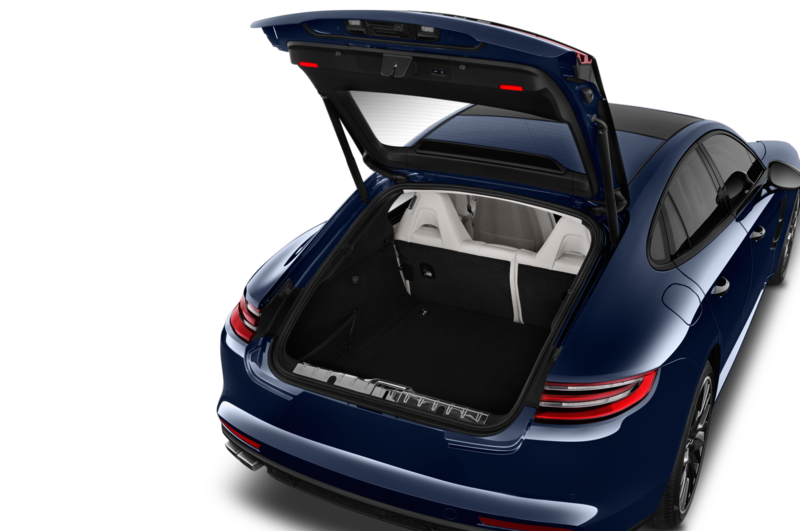 Still, it’s useful to have the added passenger room for short jaunts, a versatility improvement over the rear buckets in the Panamera. 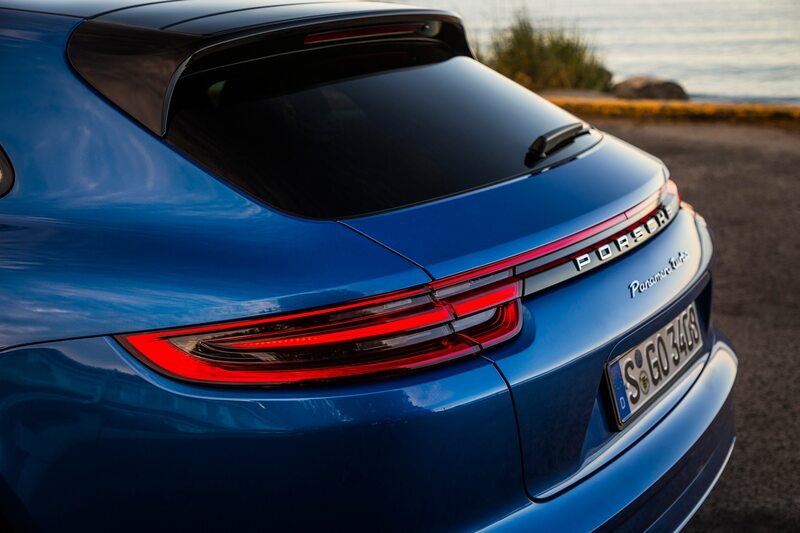 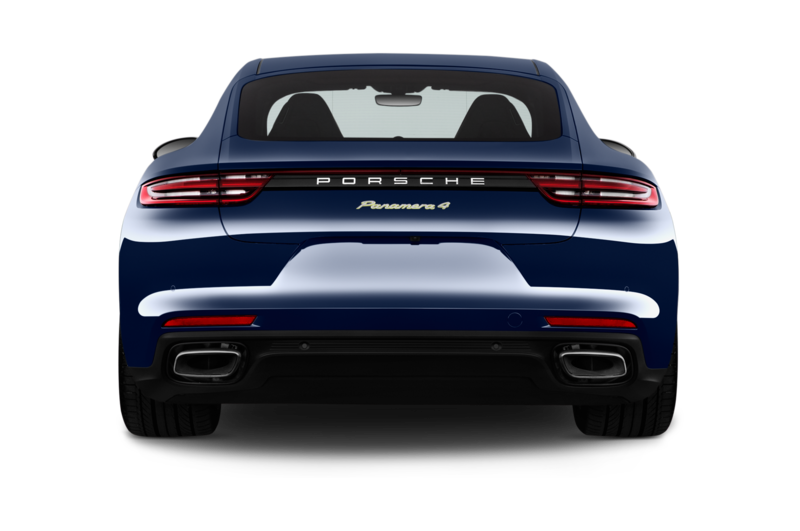 Personally, I also prefer the more angular, fastback shape of the Sport Turismo over the standard Panamera’s more conventional rear roofline. 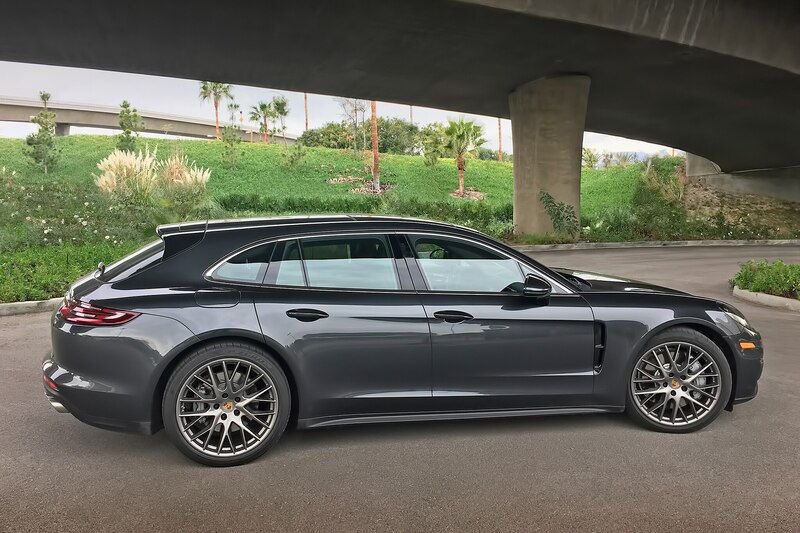 You’ll pay for it, but the 4S Sport Turismo blends speed, comfort, and multi-mission capability in a package that still says “Porsche” through and through. 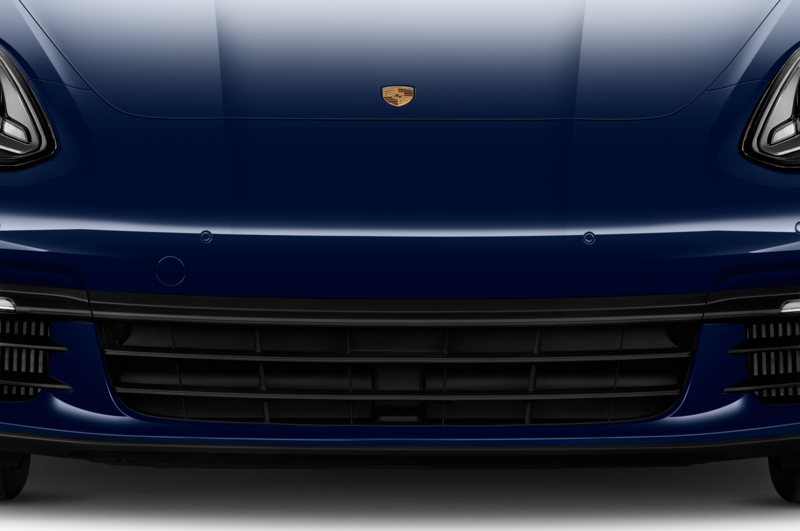 At the risk of repeating myself, there’s still nothing else quite like it.